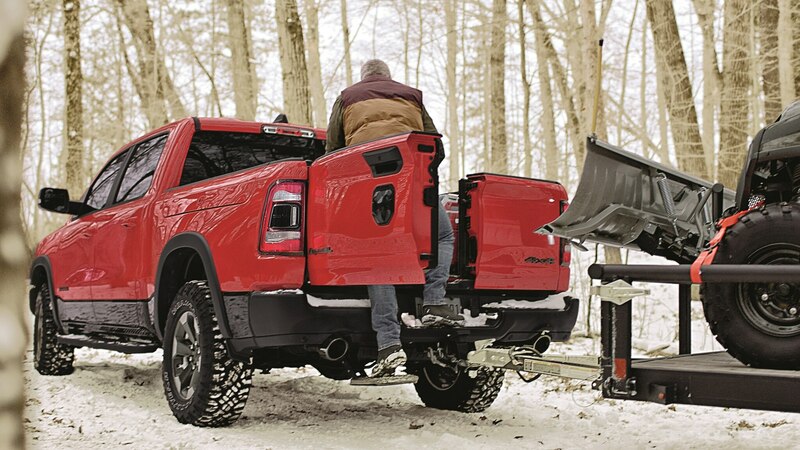 The tailgate wars are on. 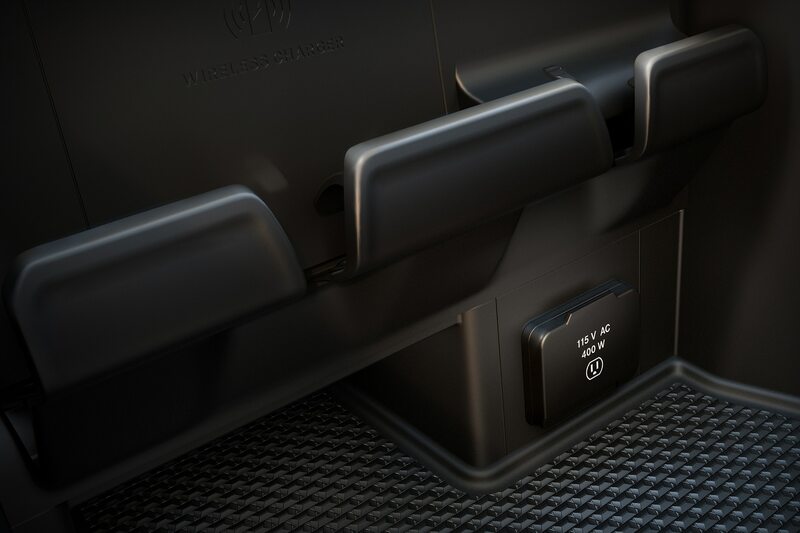 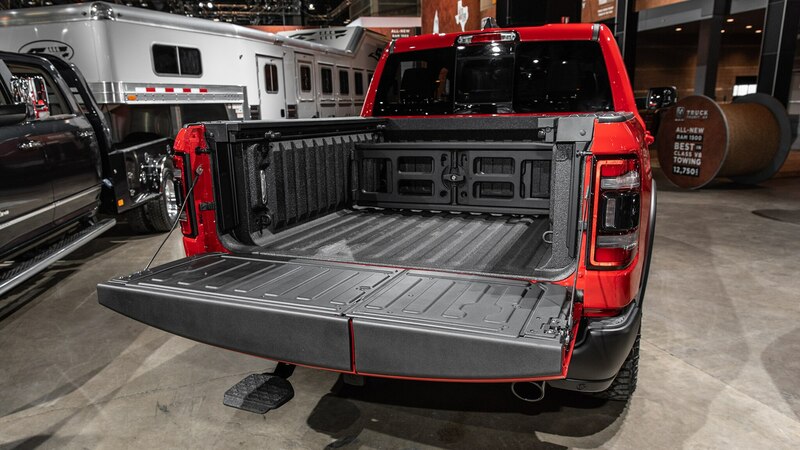 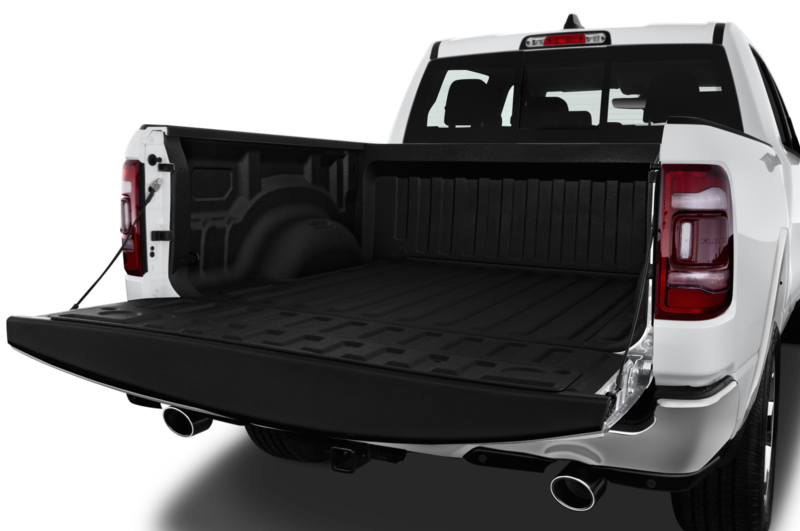 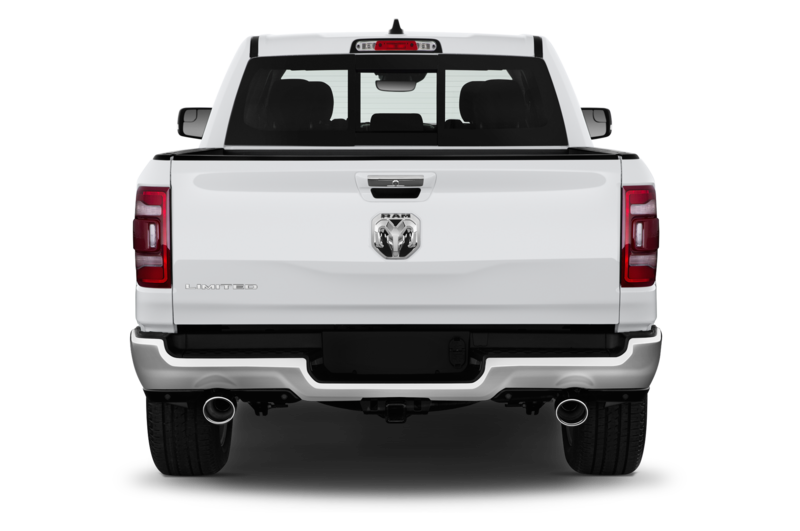 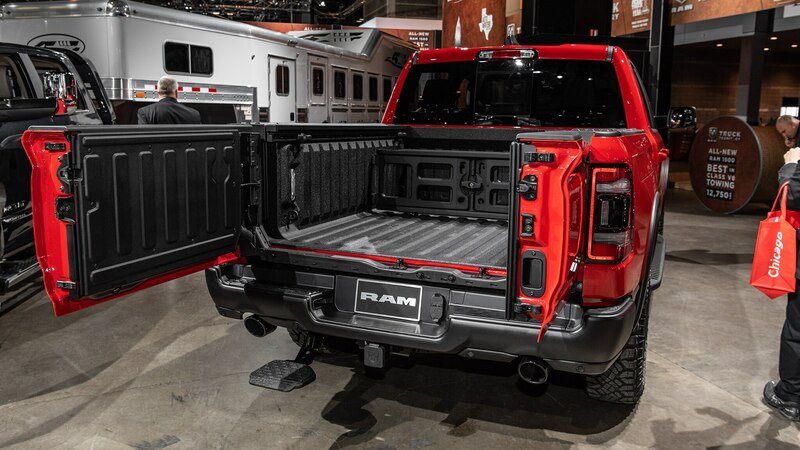 On the heels of GMC introducing its MultiPro tailgate for the 2019 Sierra 1500, Ram is now offering a multifunction tailgate of its very own. 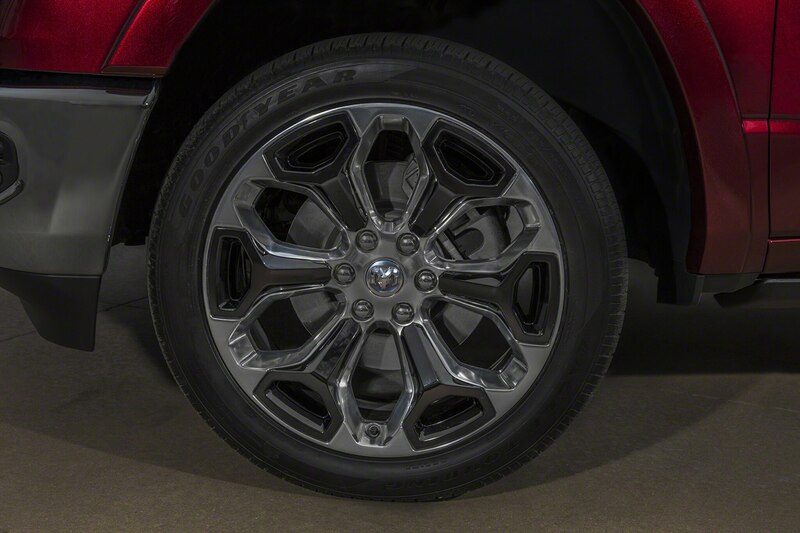 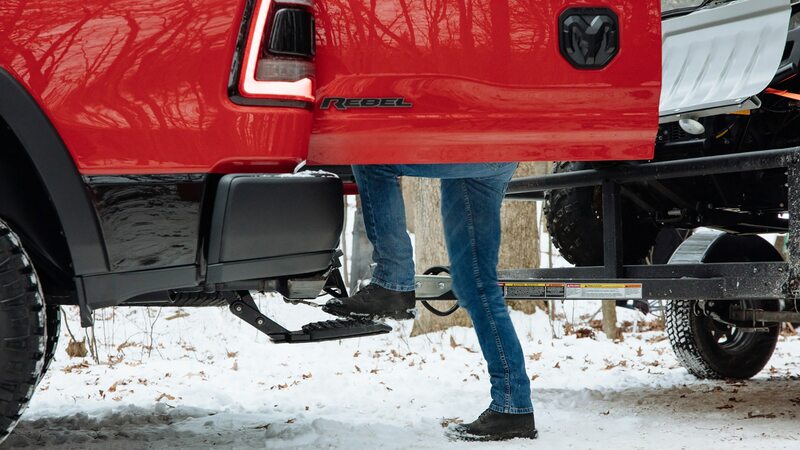 But while the Sierra’s gate has a center section that drops to transform into steps or to ease loading, the Ramgate—we’re honestly surprised this isn’t its official name—has a vertical 60/40 split. 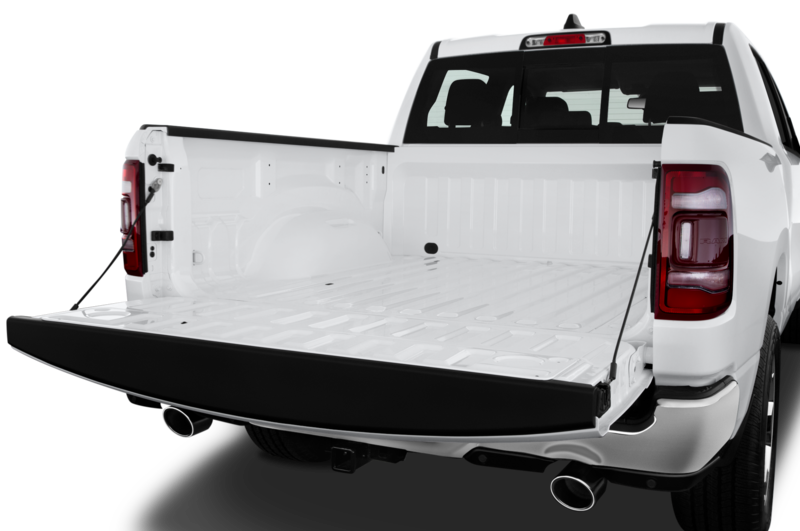 It can be dropped down in its entirety like a traditional panel or each side can be opened barn-door-style. 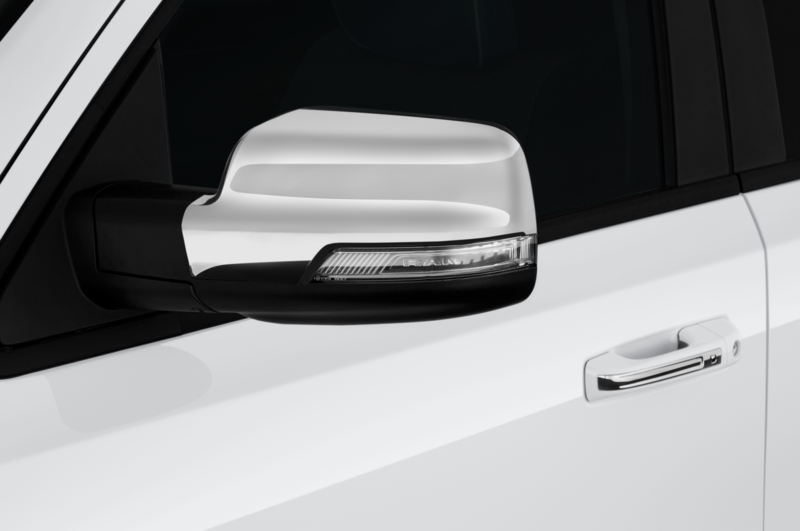 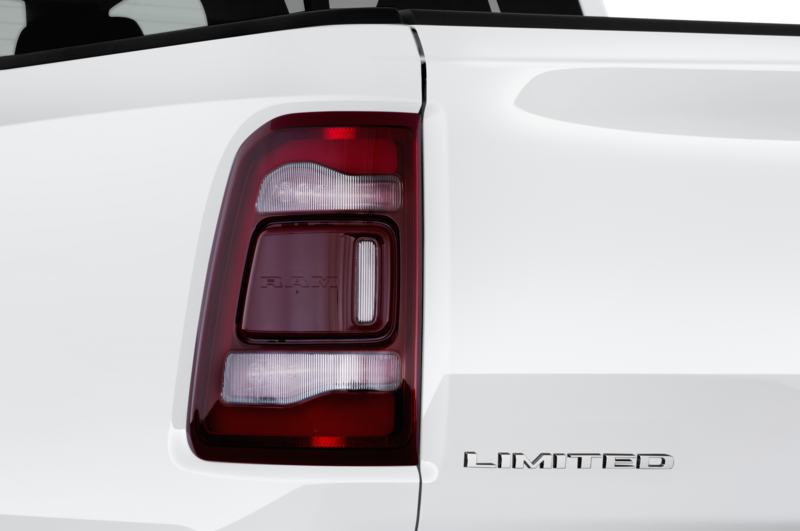 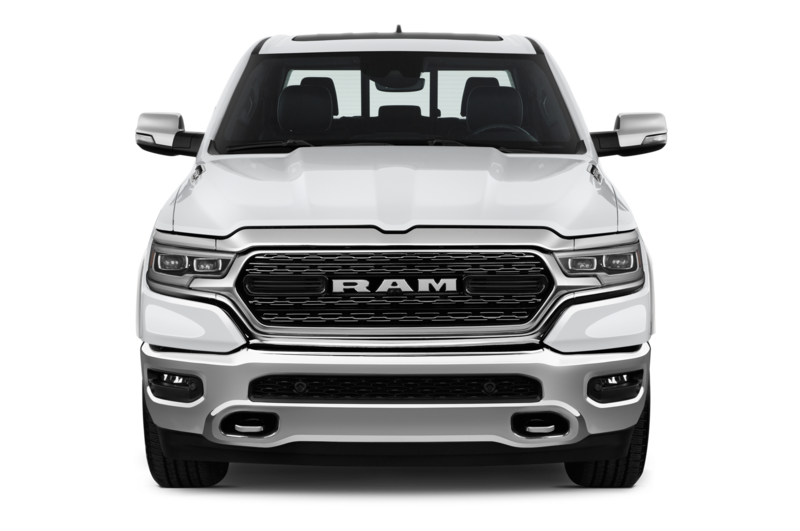 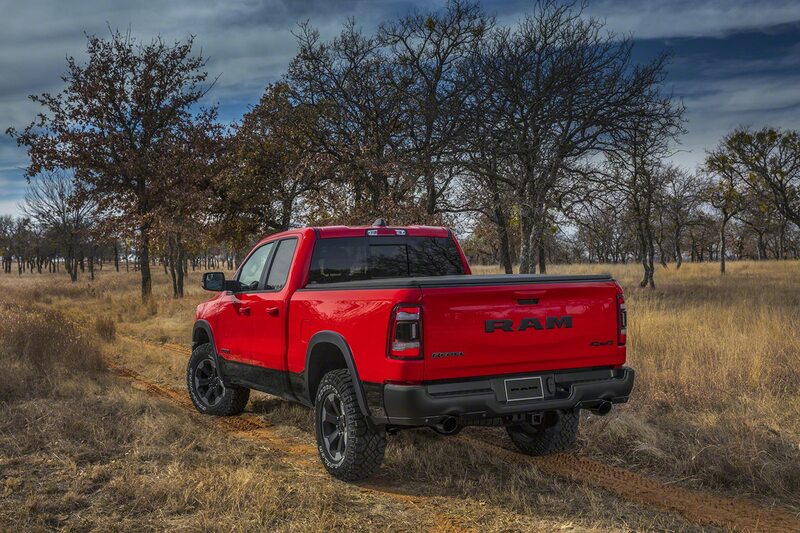 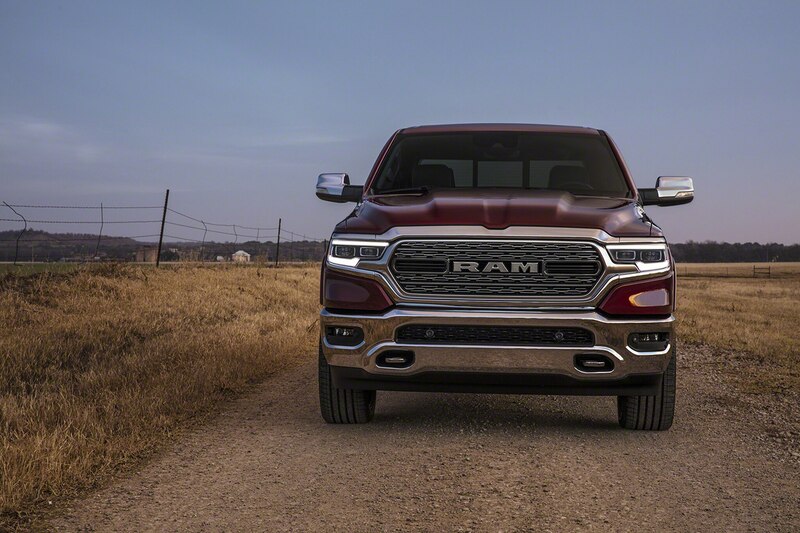 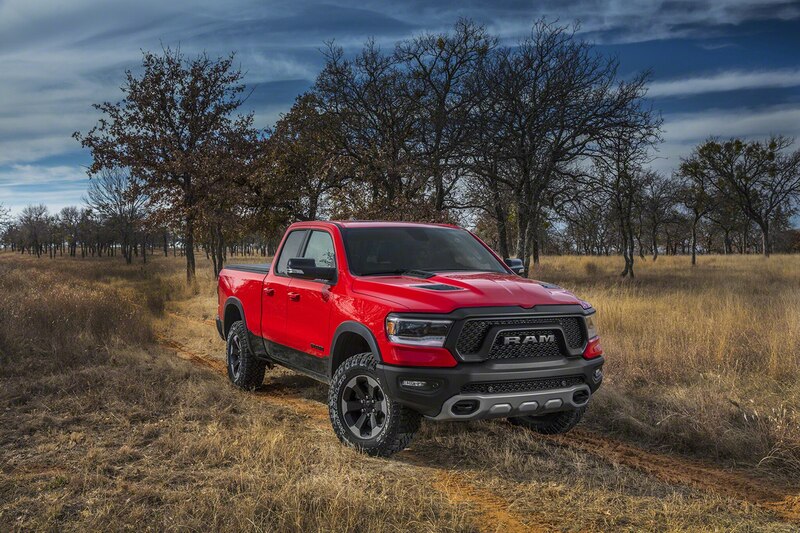 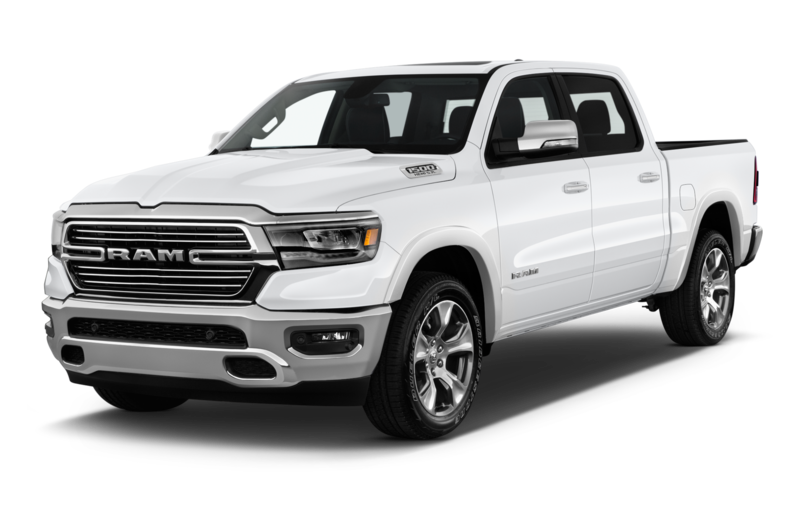 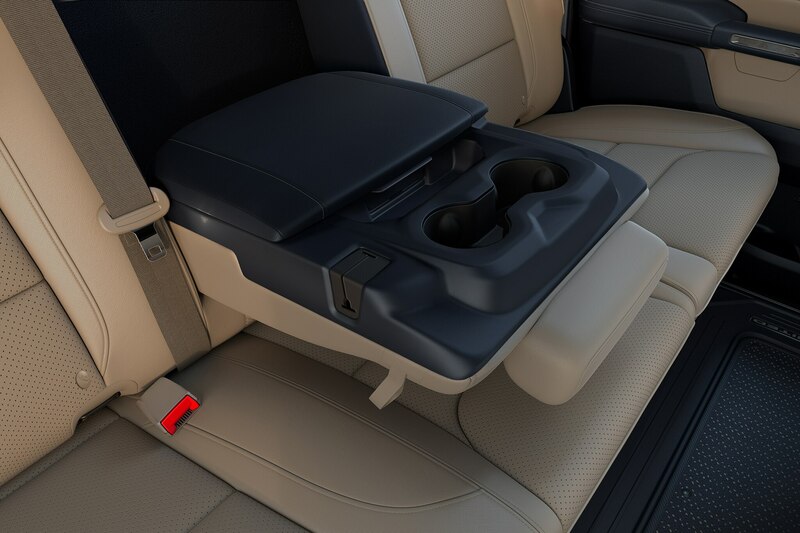 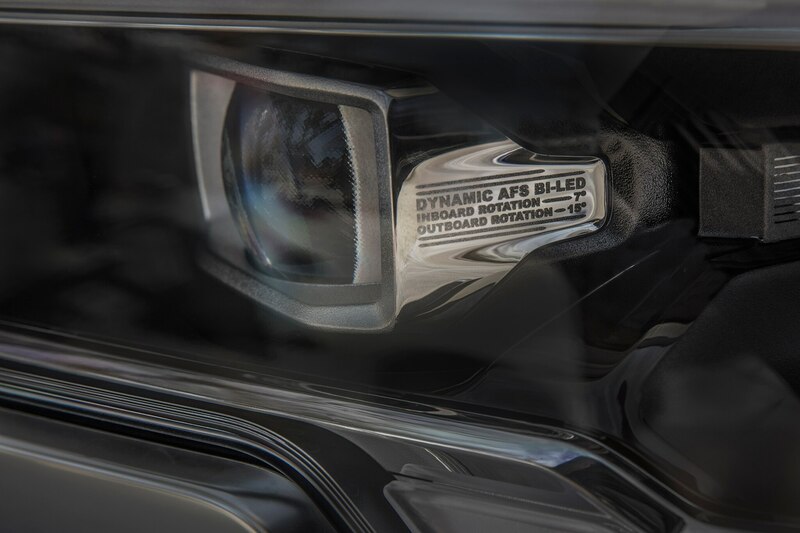 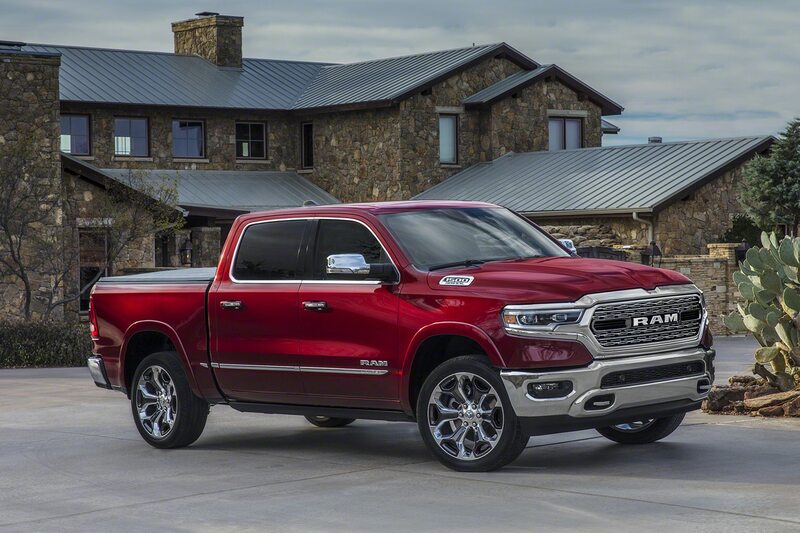 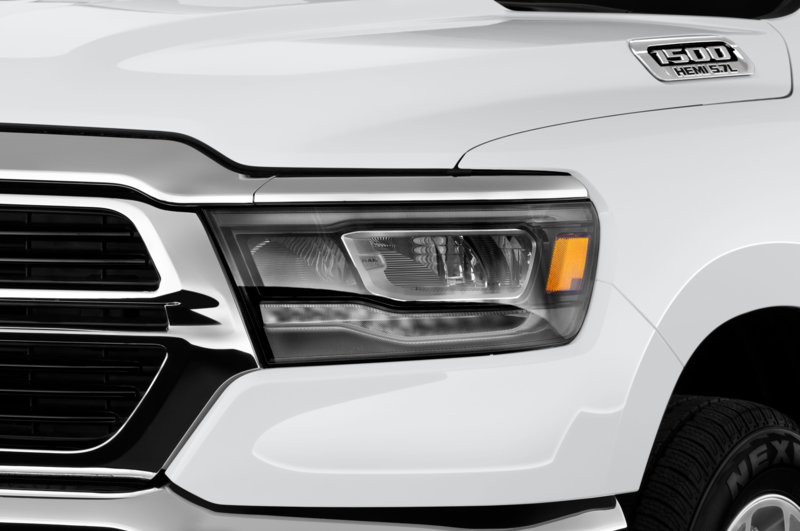 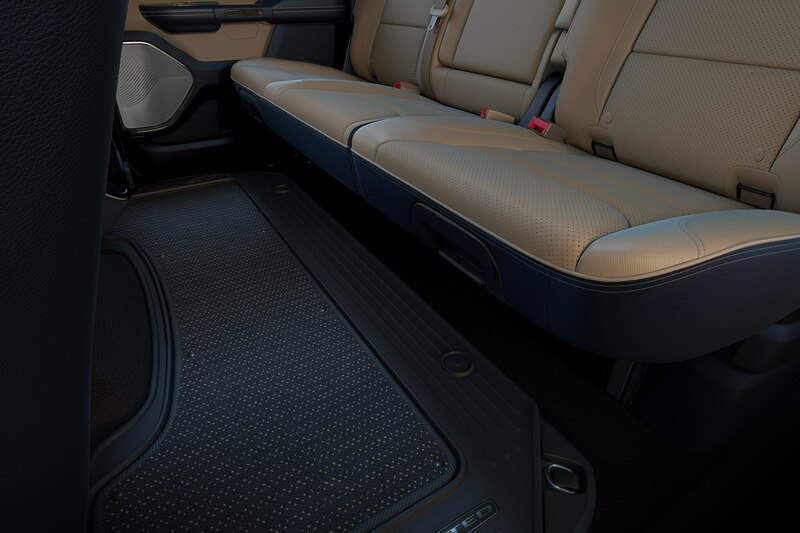 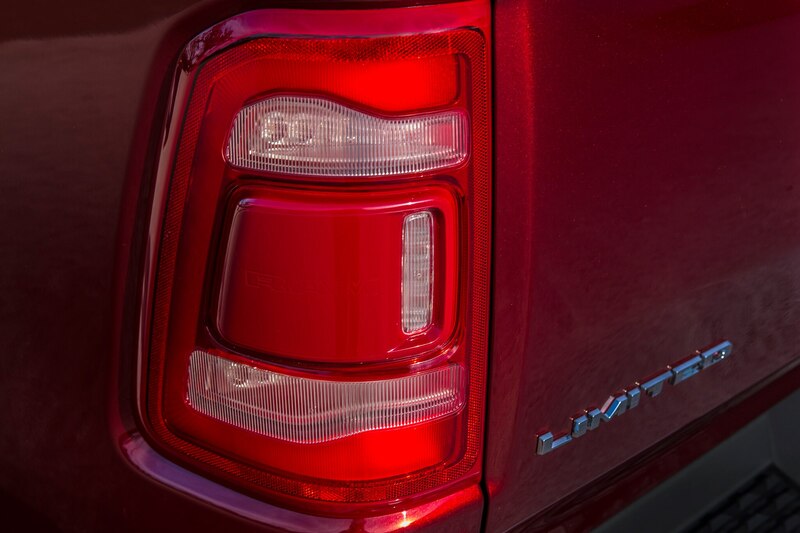 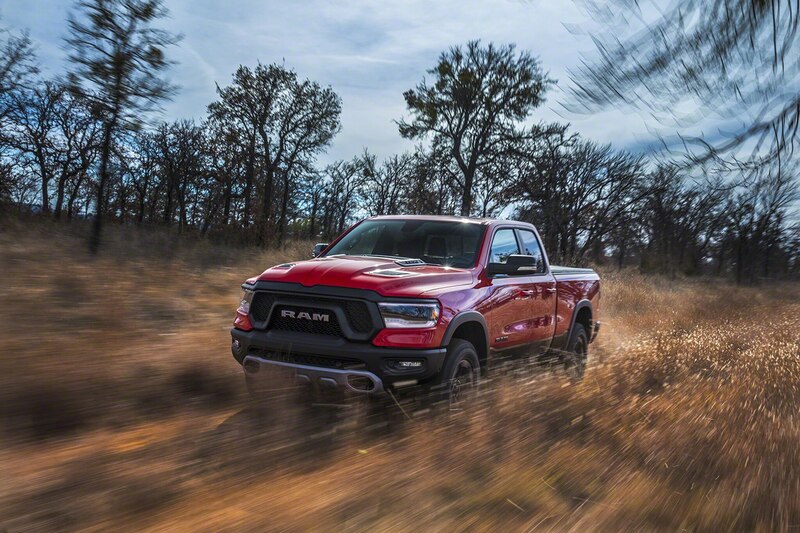 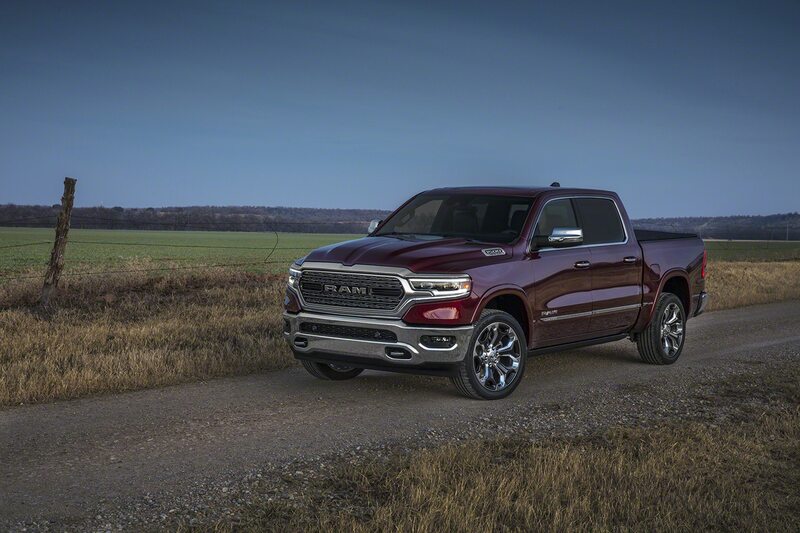 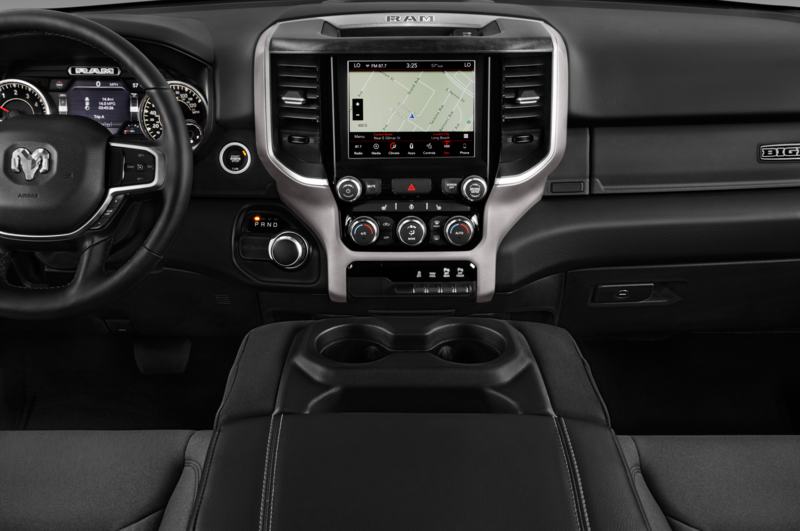 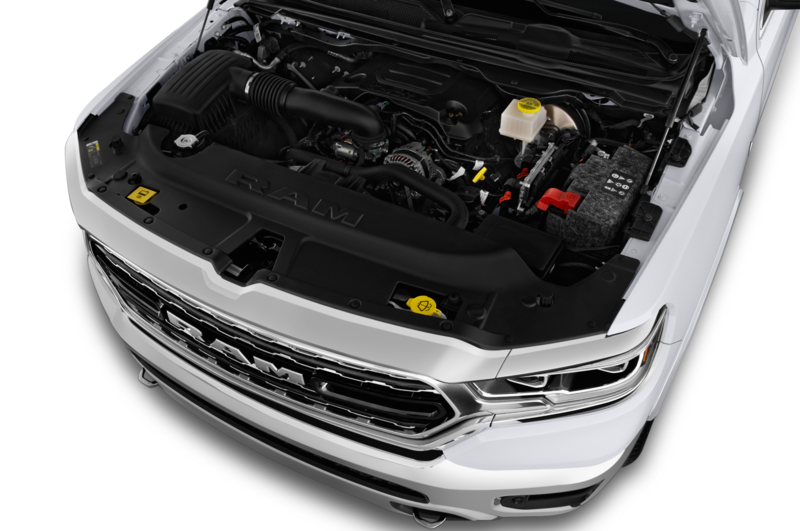 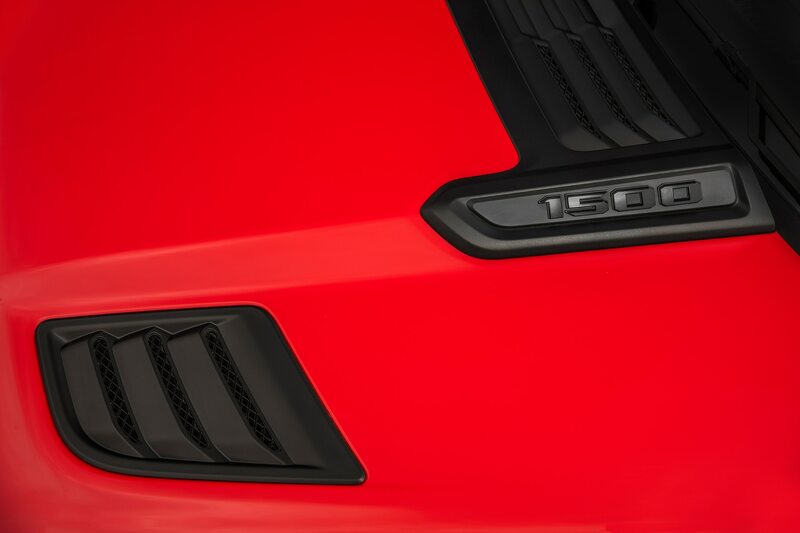 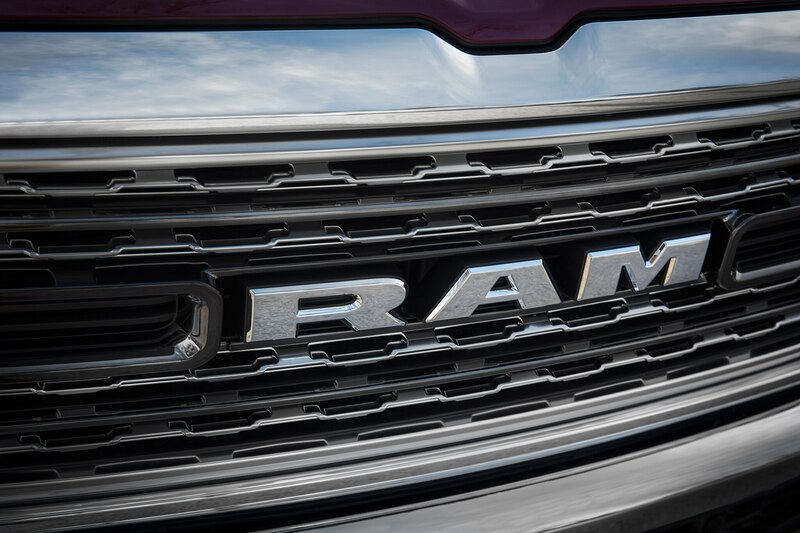 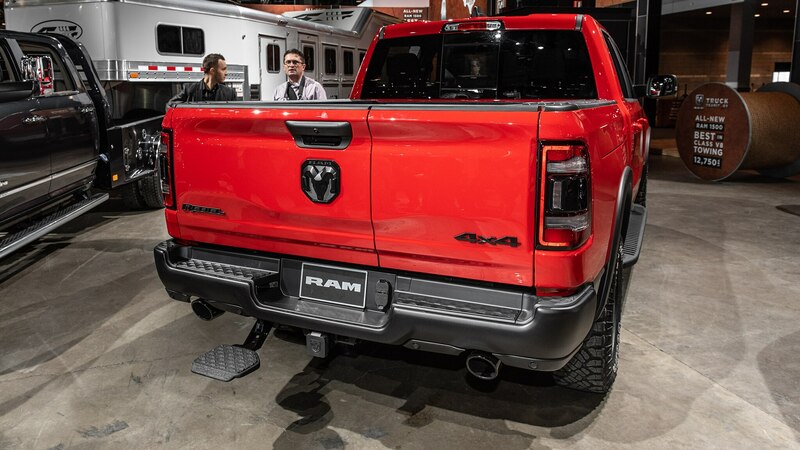 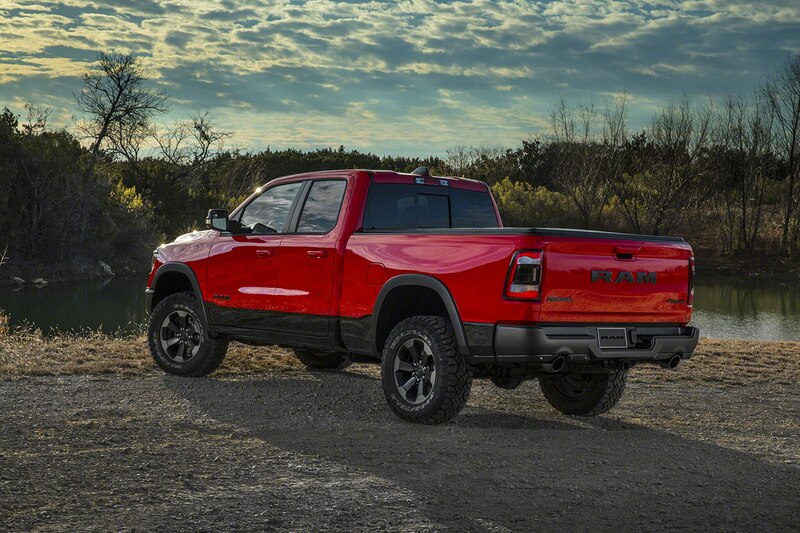 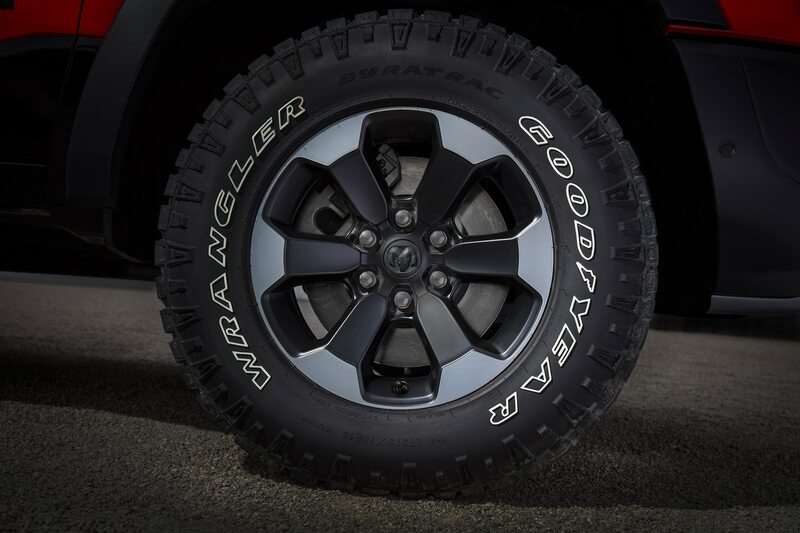 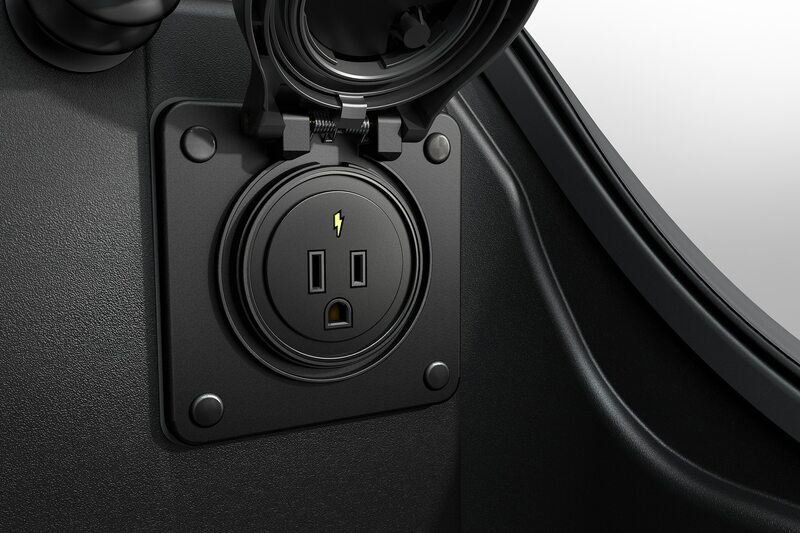 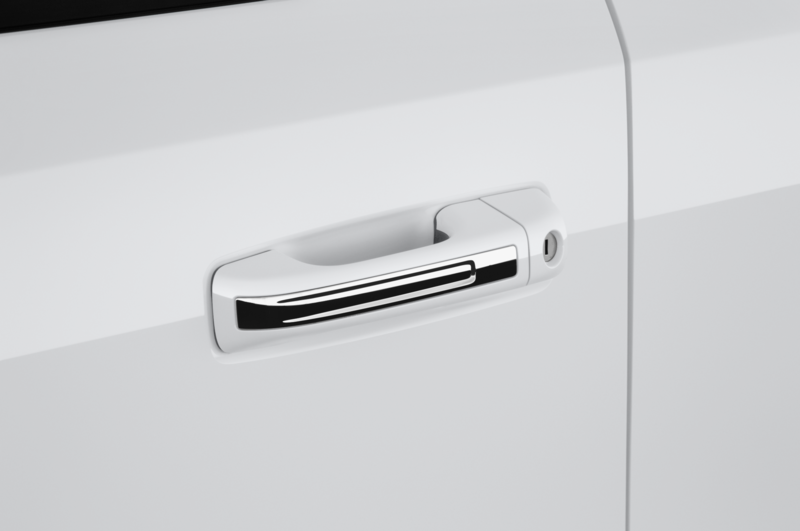 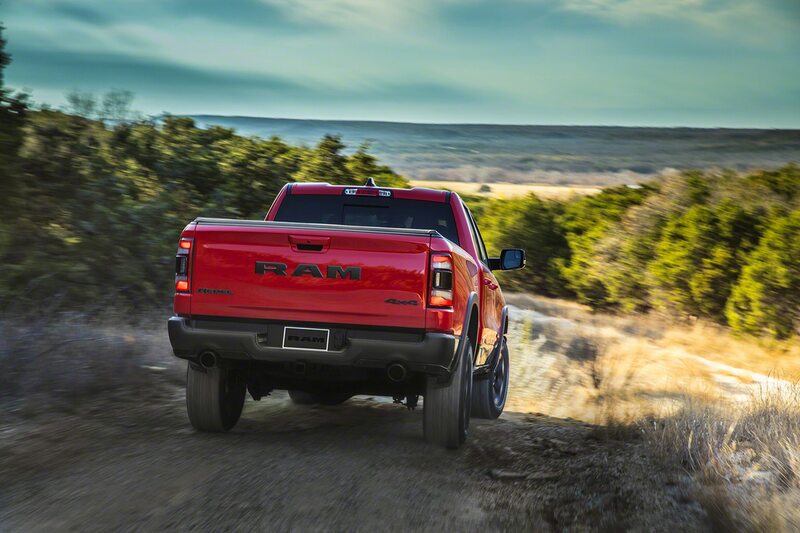 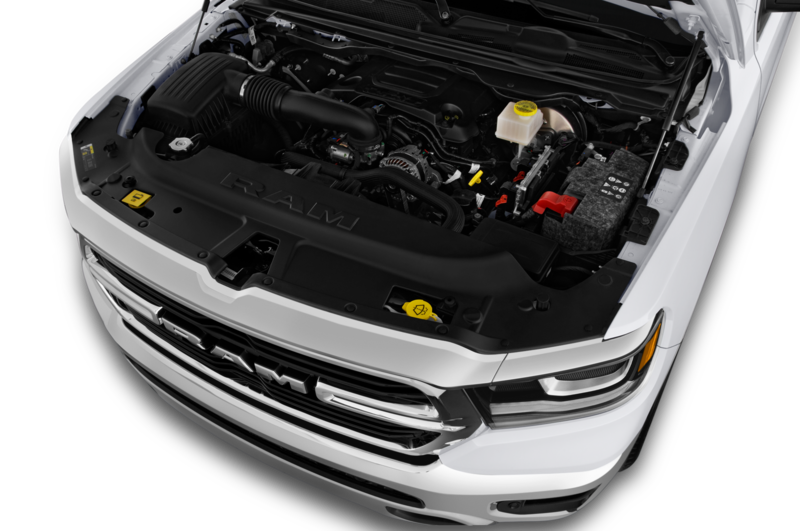 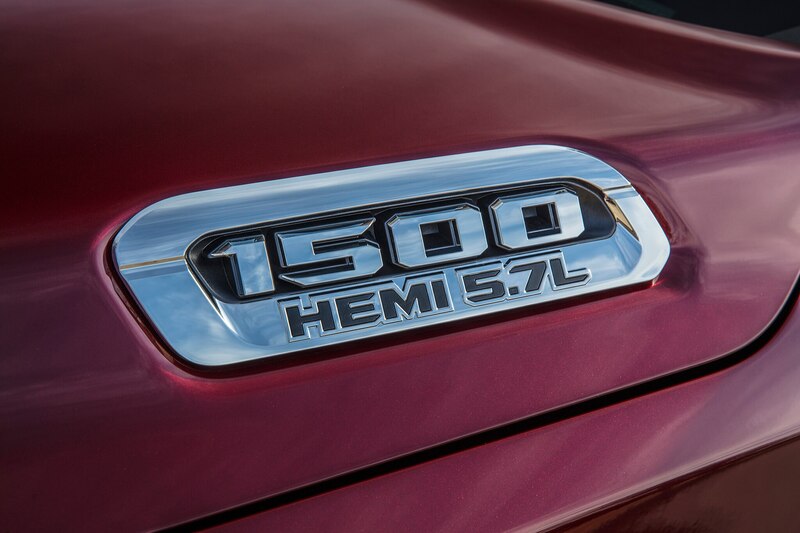 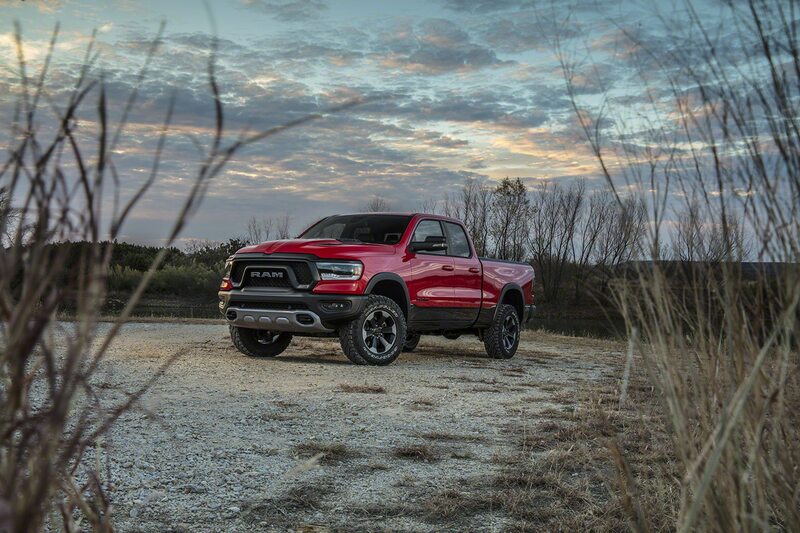 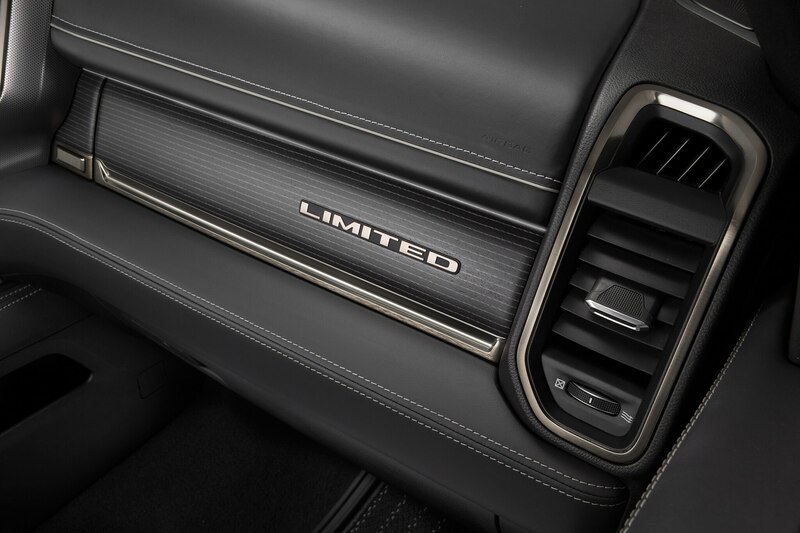 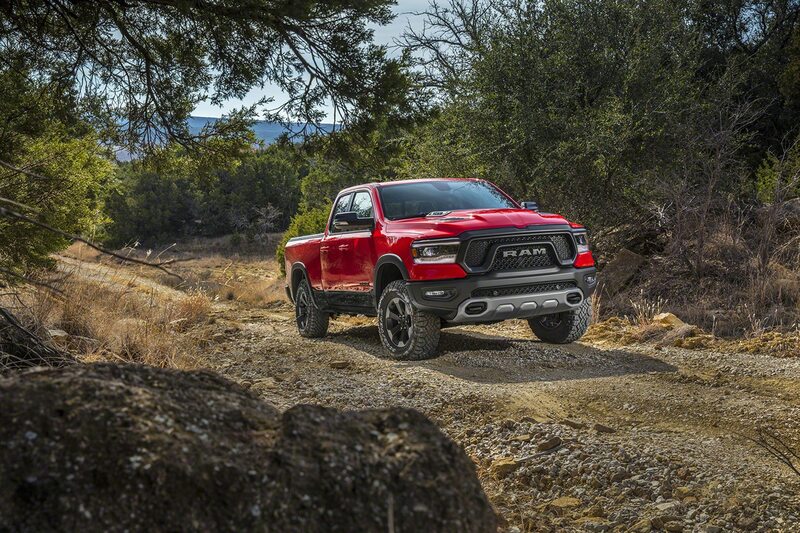 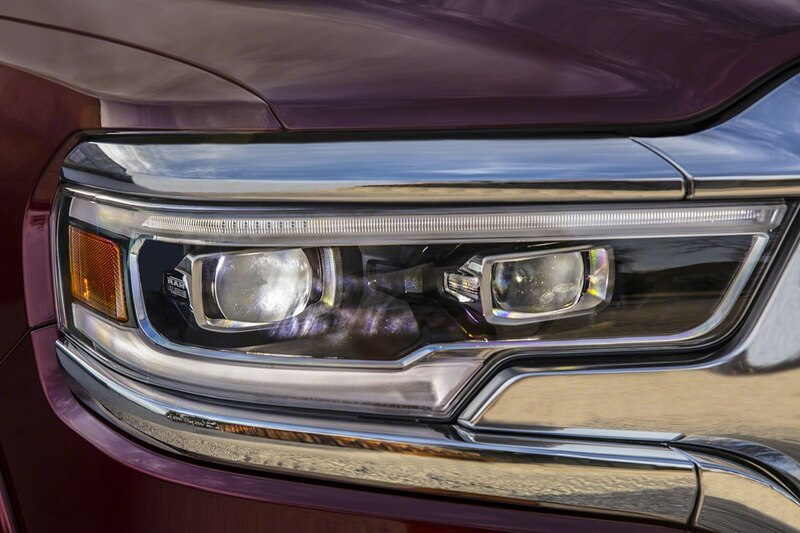 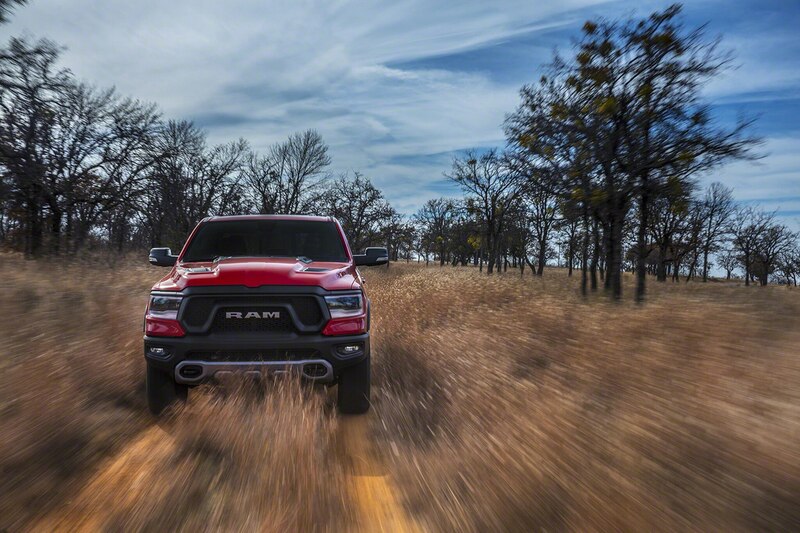 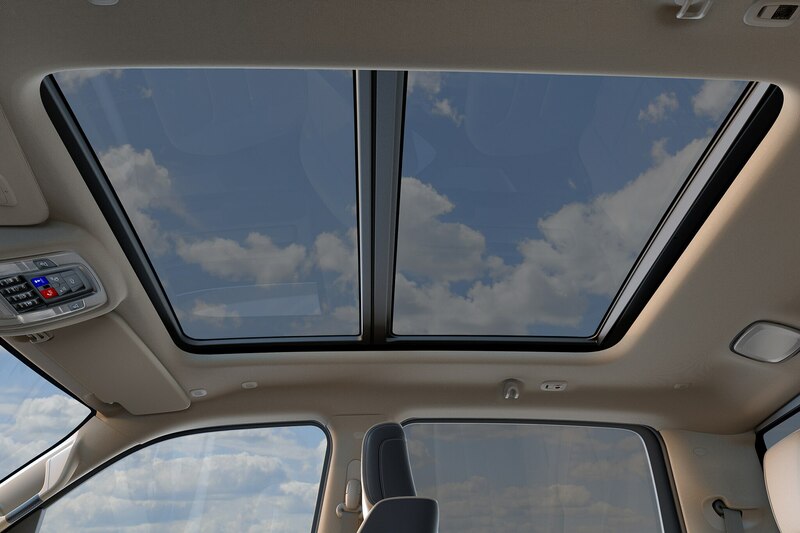 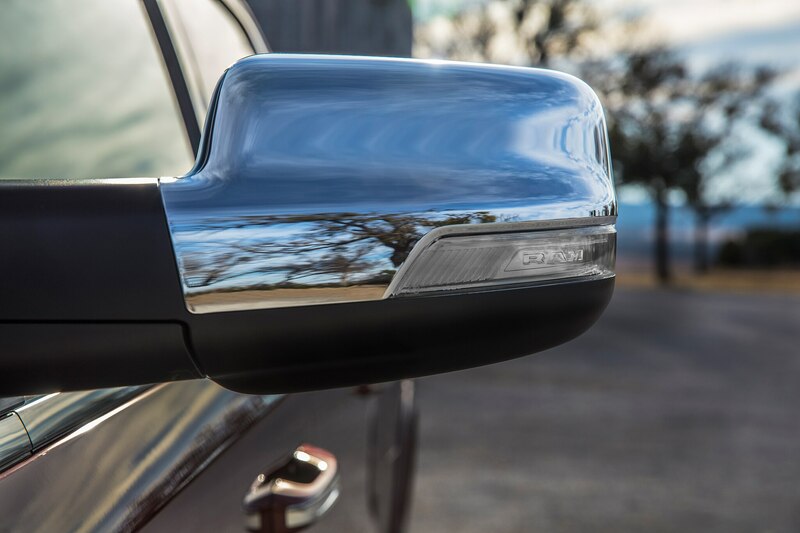 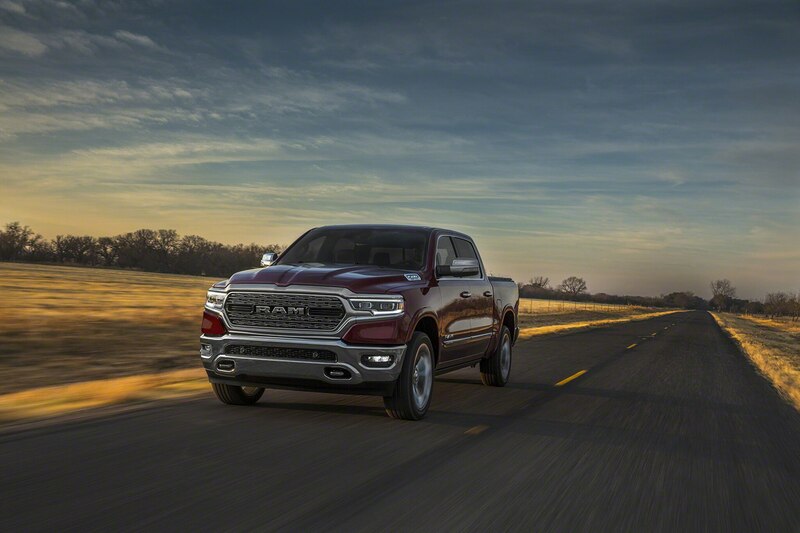 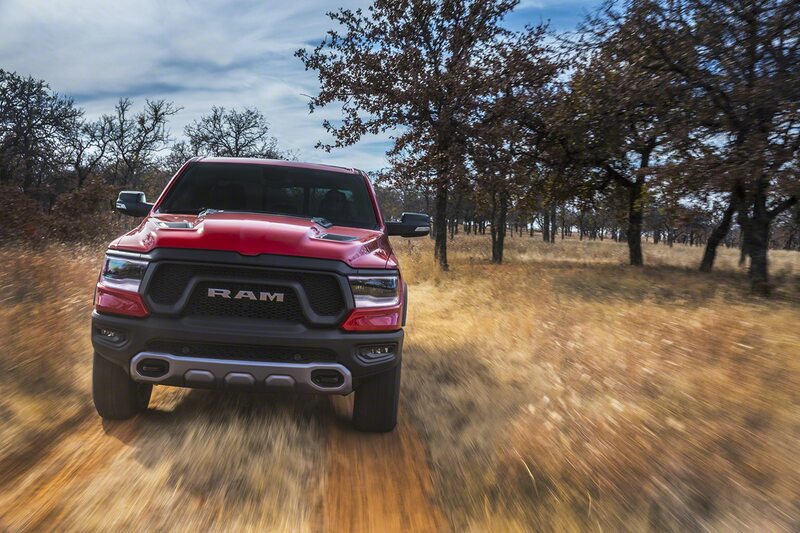 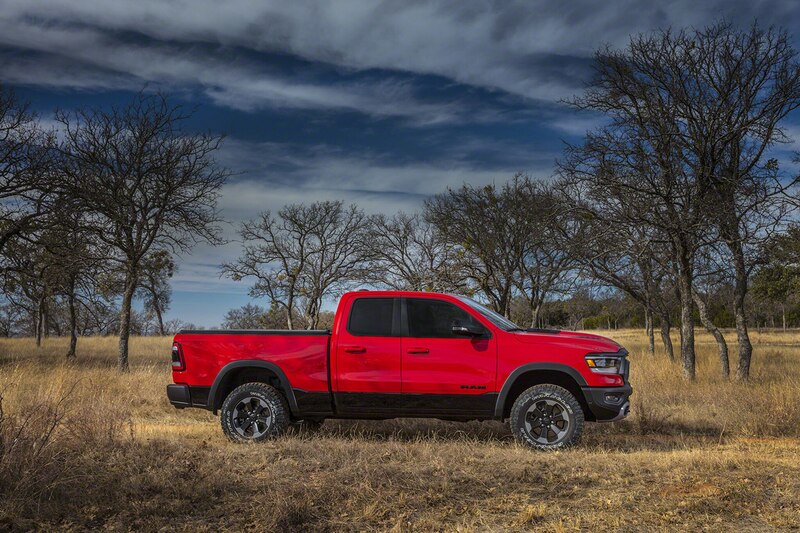 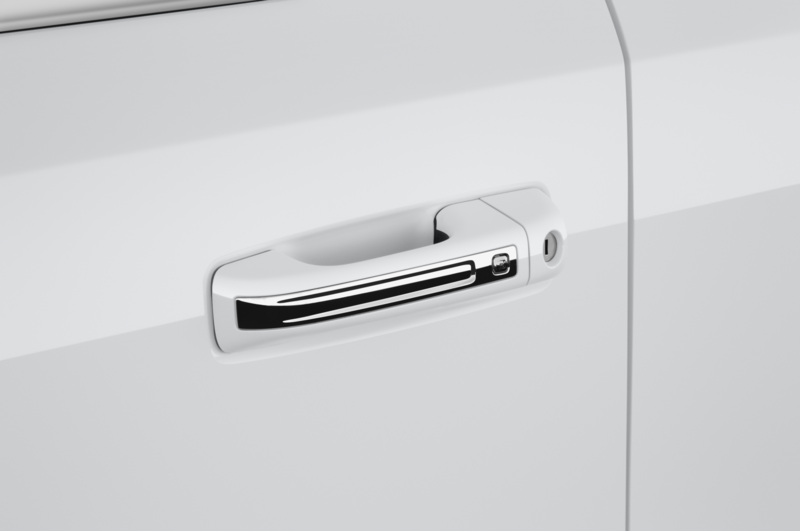 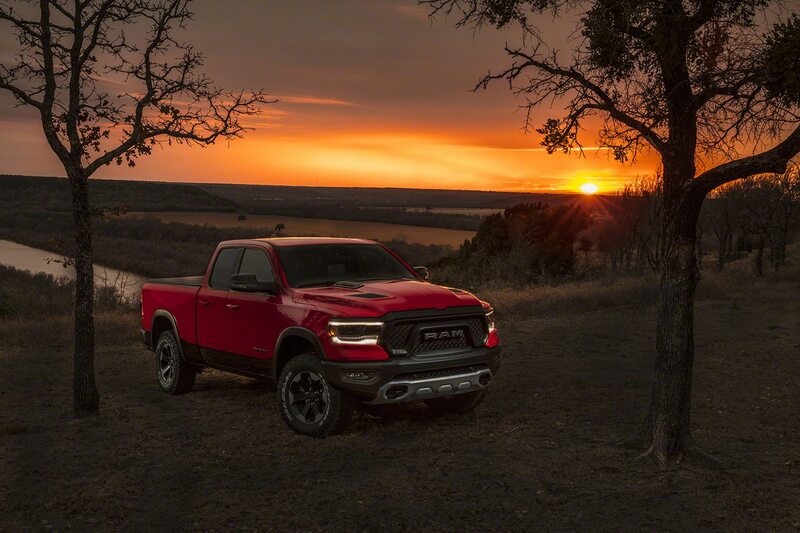 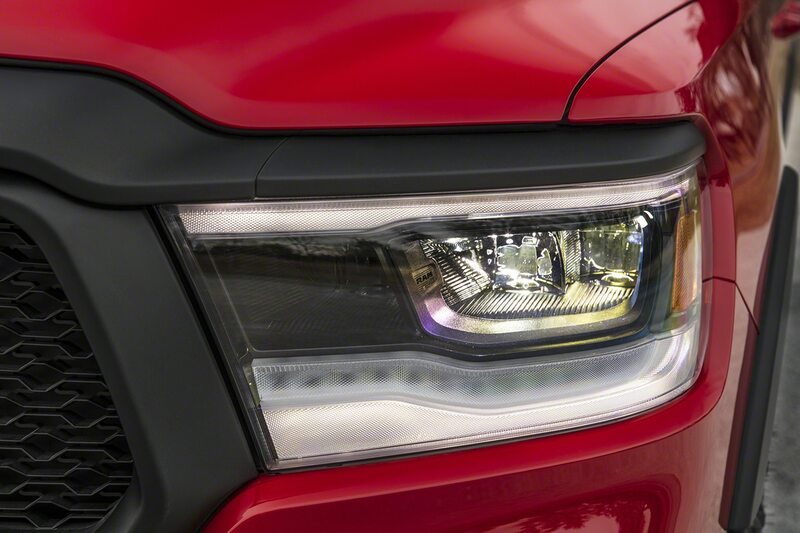 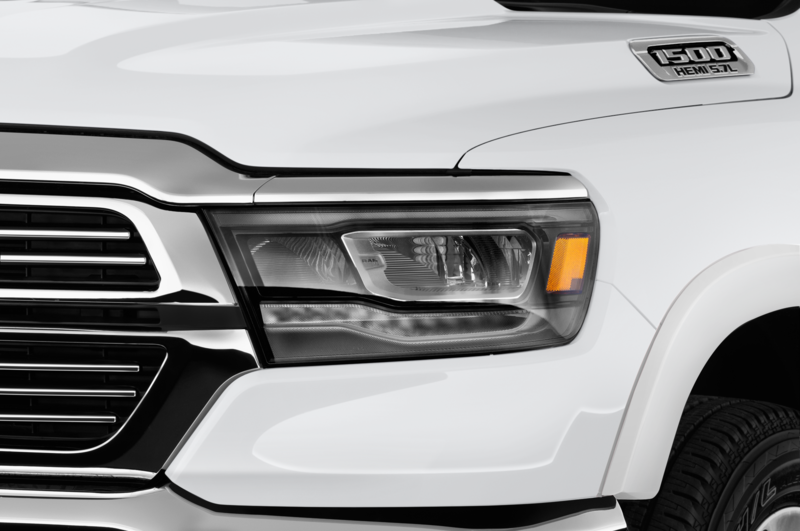 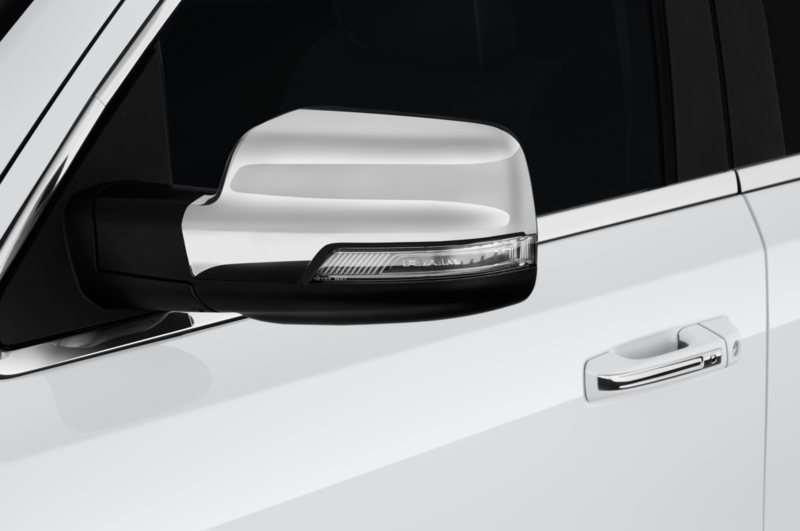 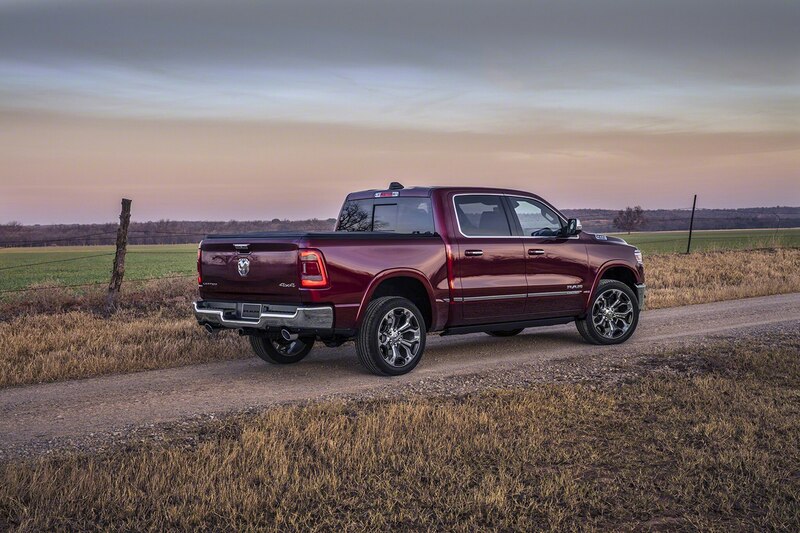 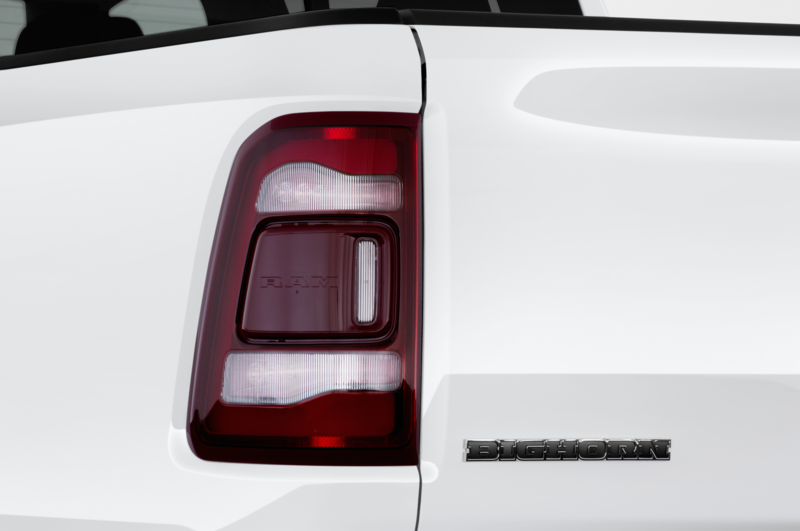 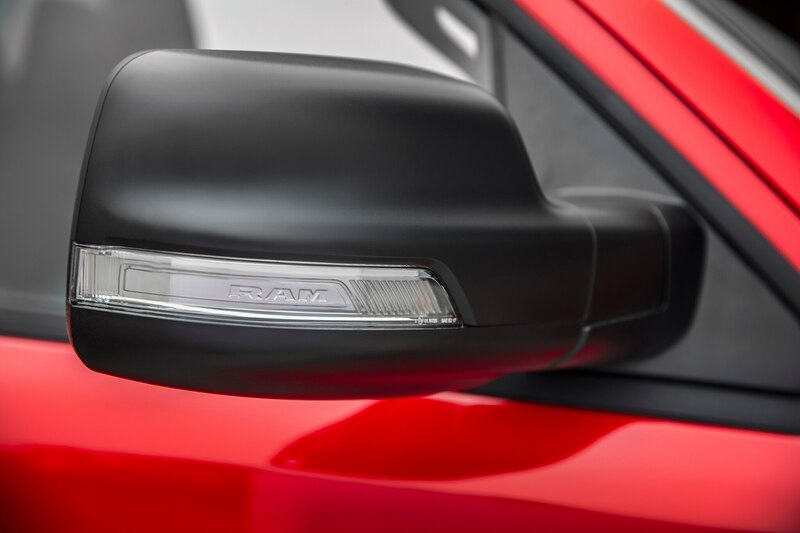 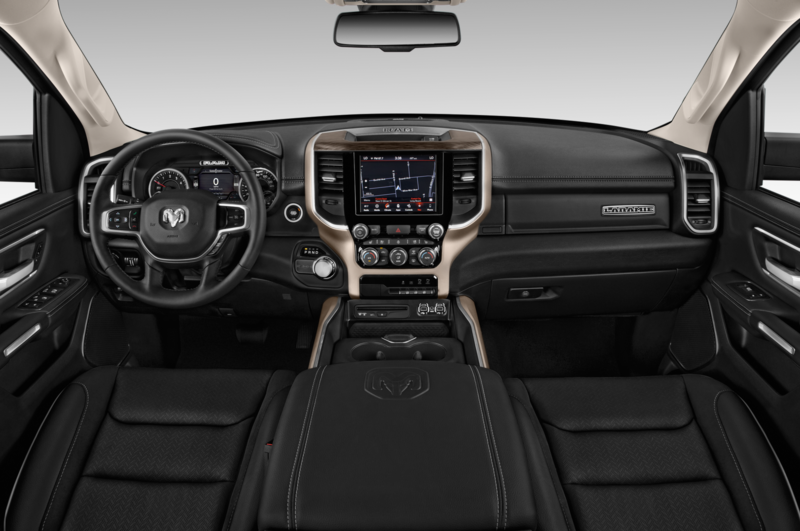 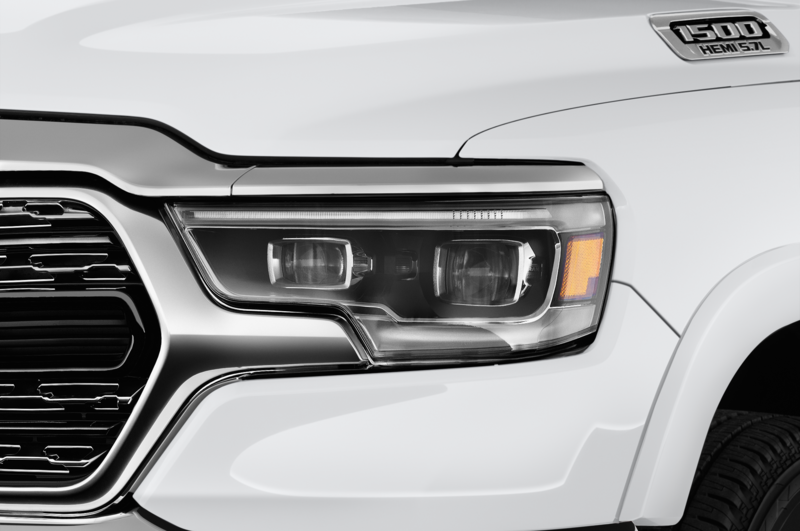 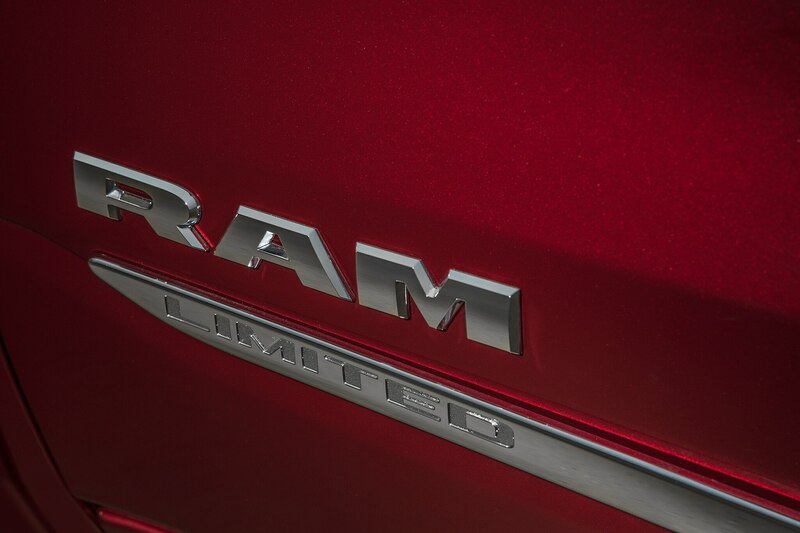 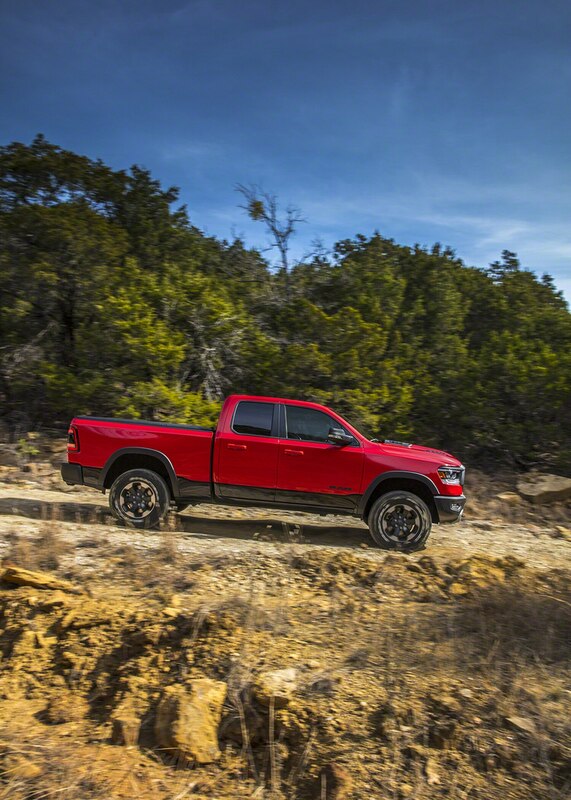 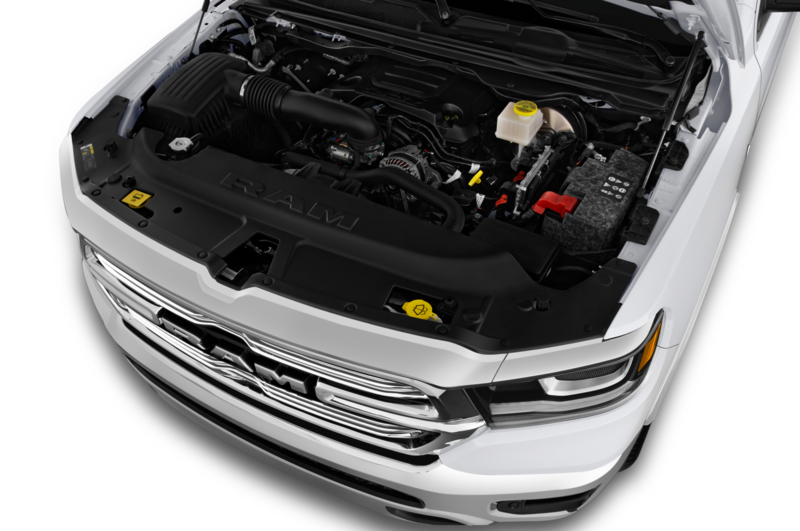 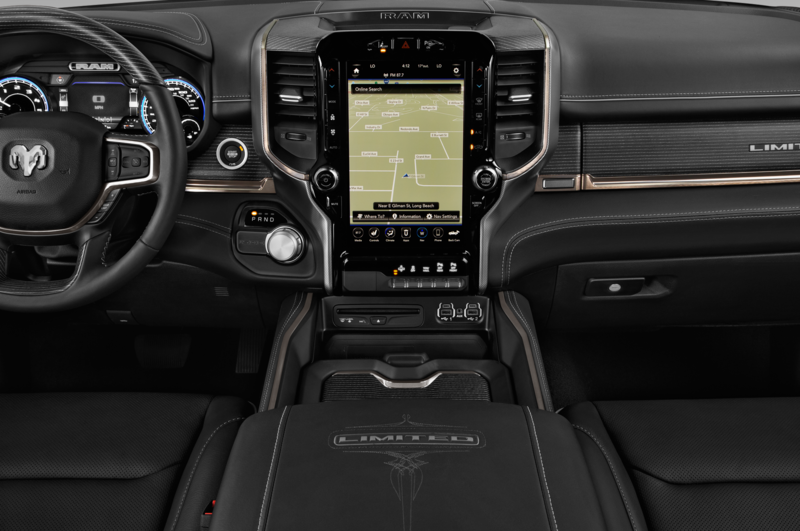 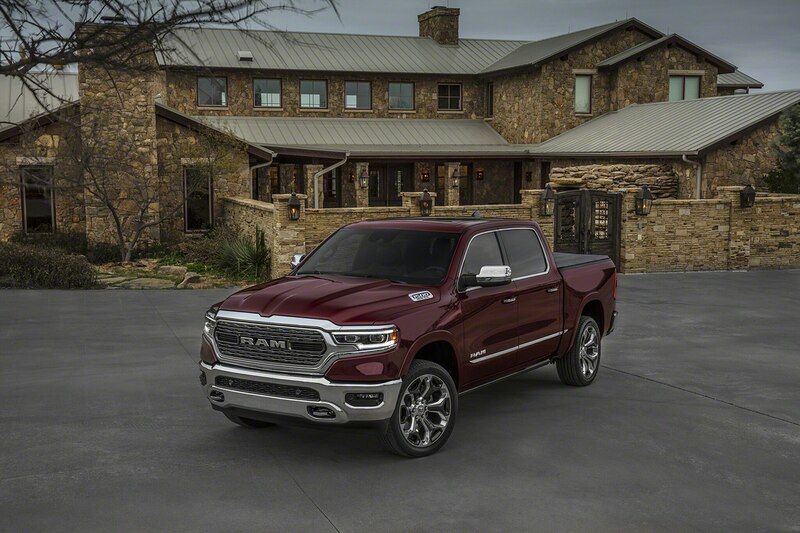 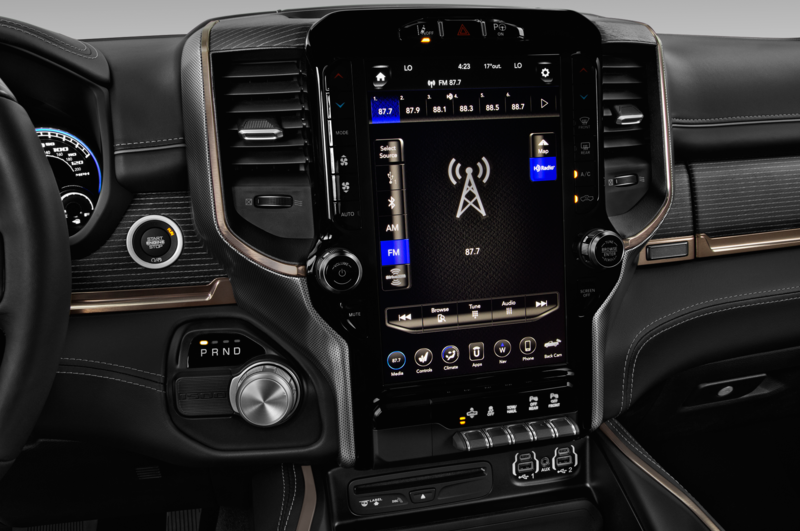 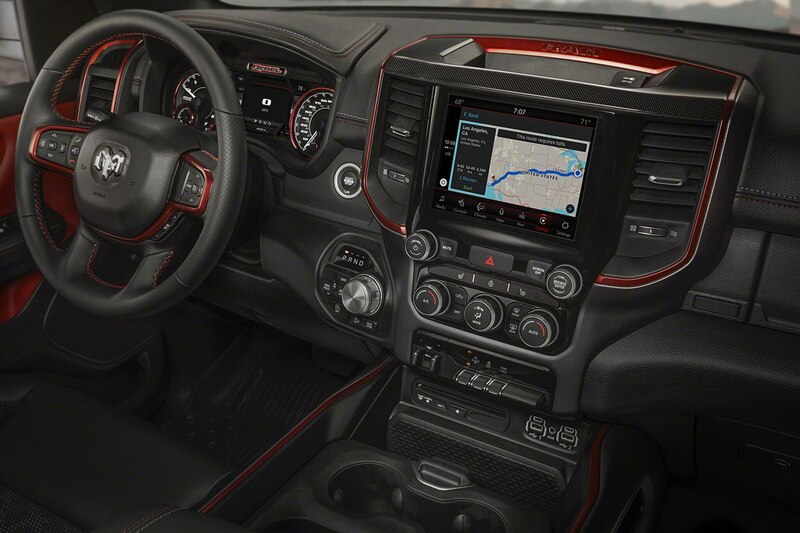 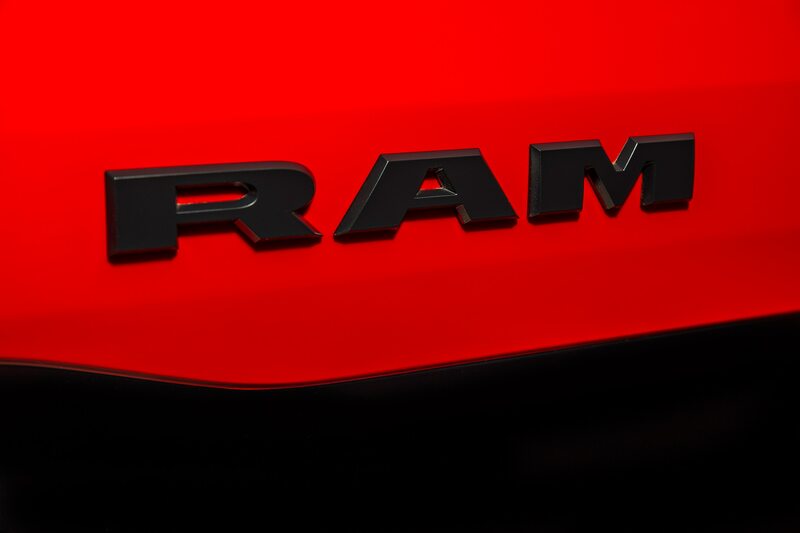 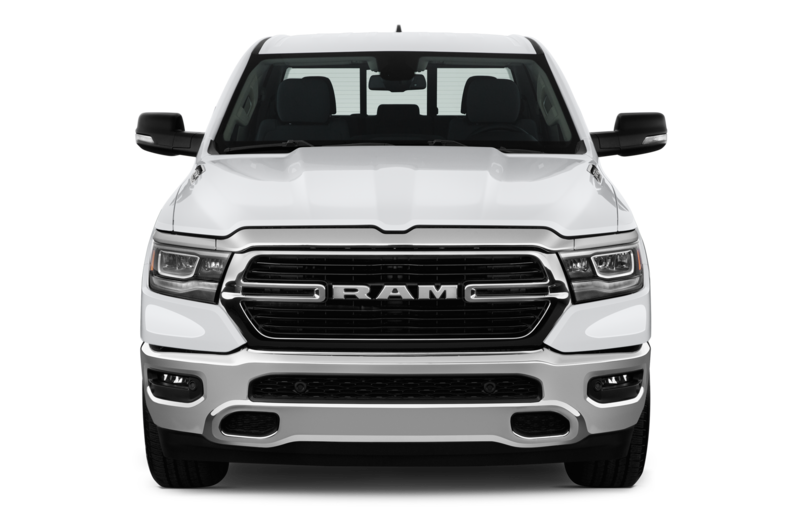 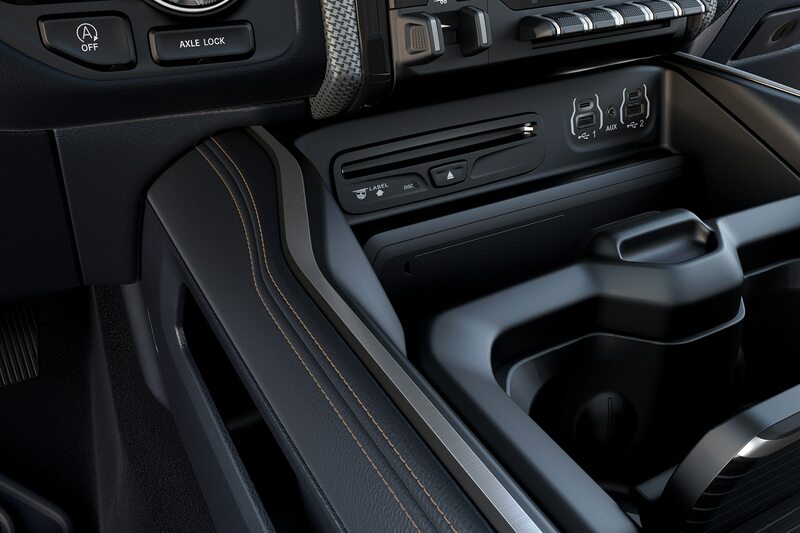 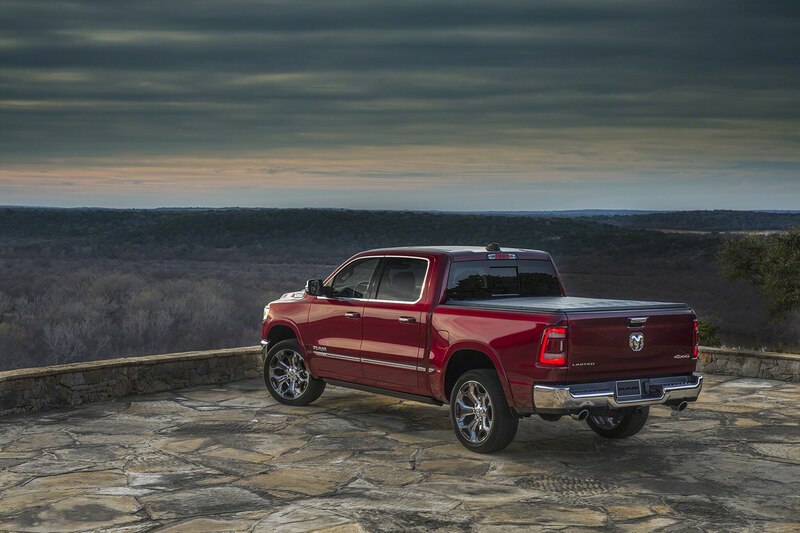 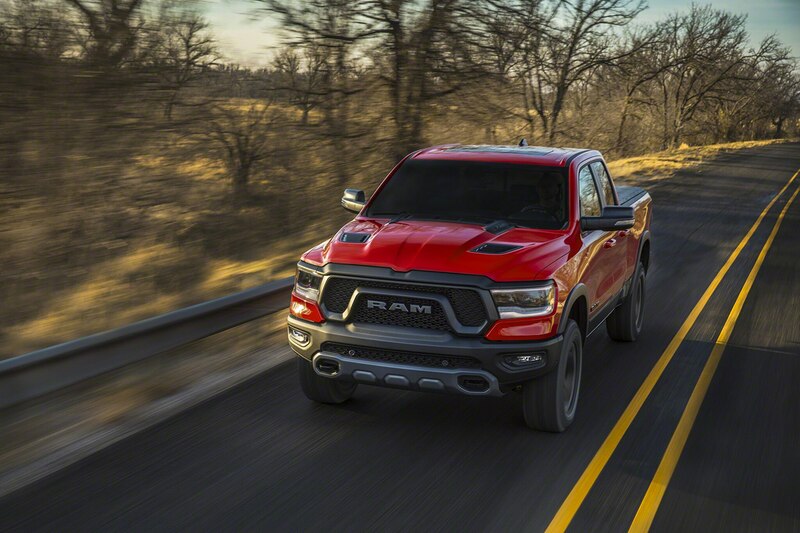 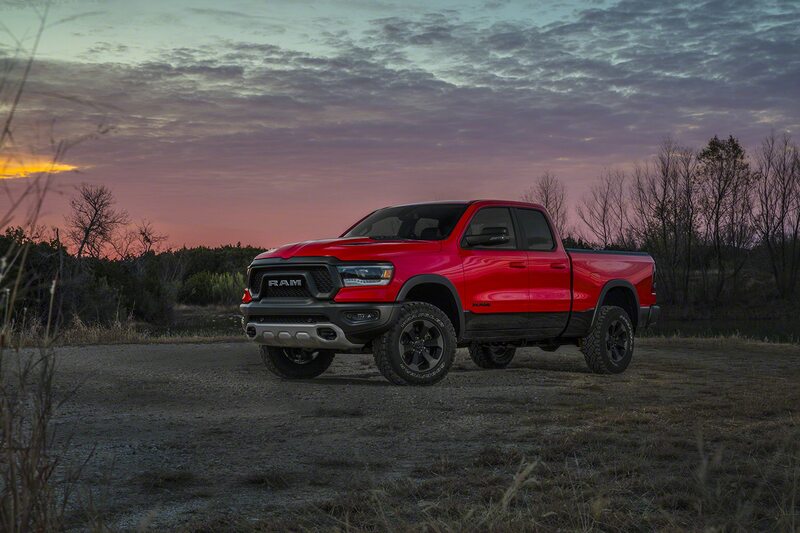 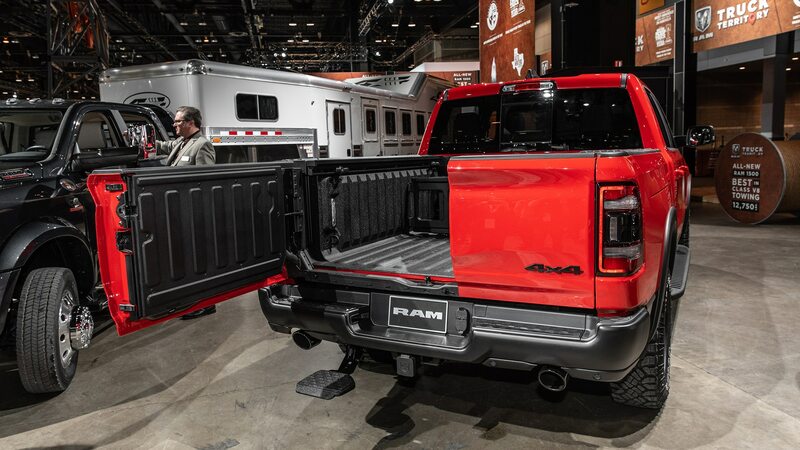 The new gate comes after the brand first applied to patent the idea some six years ago, and will be available on all seven 2019 Ram 1500 models. 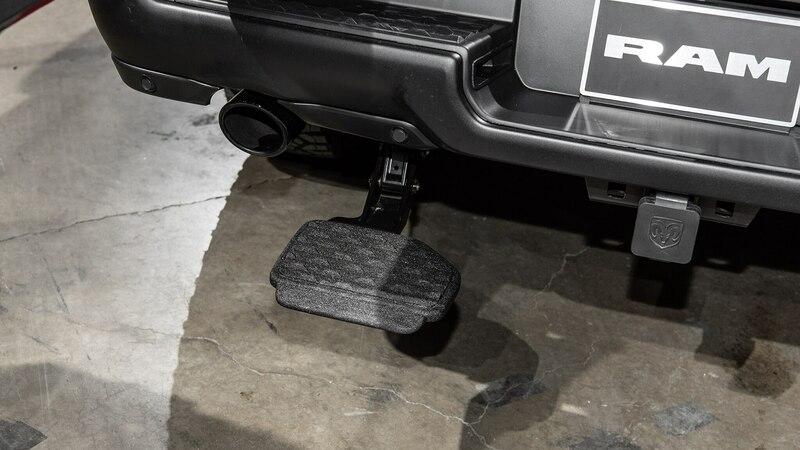 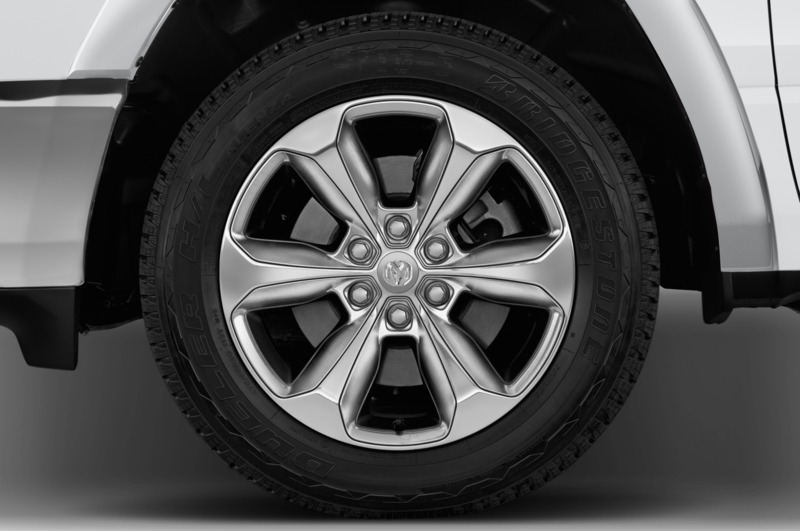 It retails for $995 and an optional center step that retracts from under the bumper adds another $295. 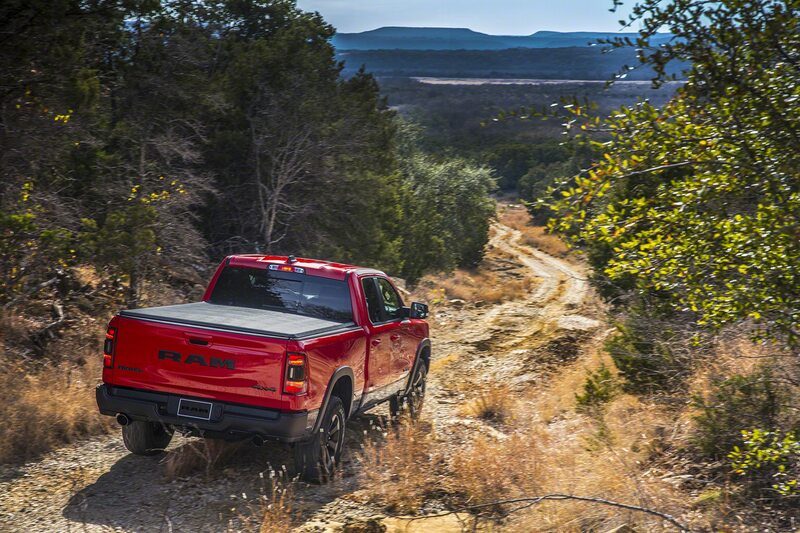 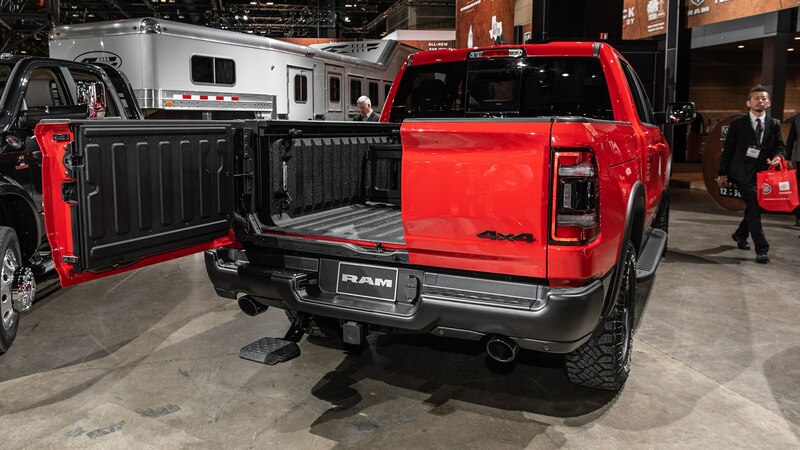 Ram says the new tailgate retains the strength of a dampened drop-down tailgate with a 2,000-pound load rating. 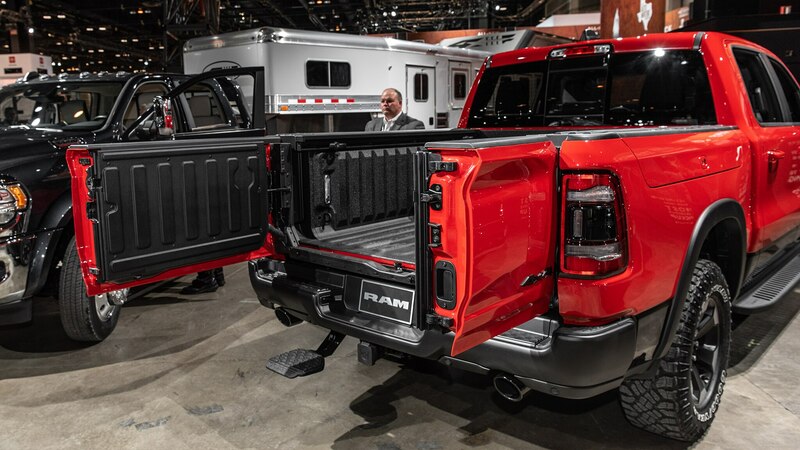 The dual side-hinged doors make it easier to load and access the bed—key in this age when even light-duty trucks are gargantuan—including to facilitate forklift loading. 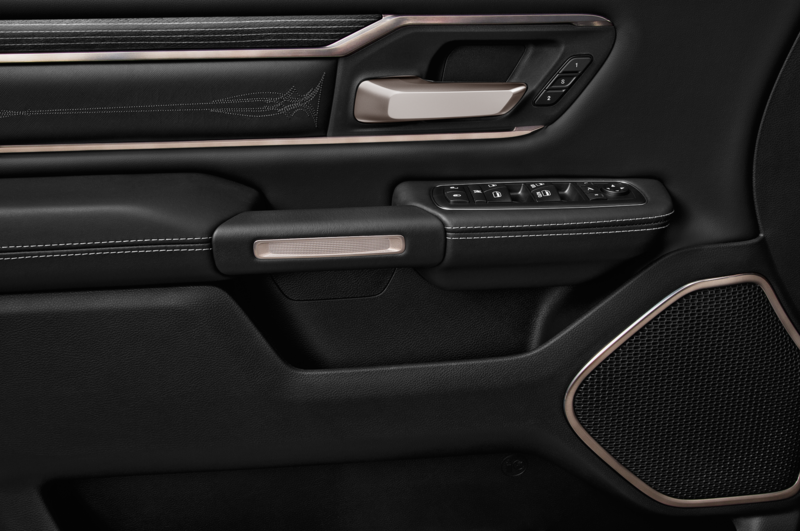 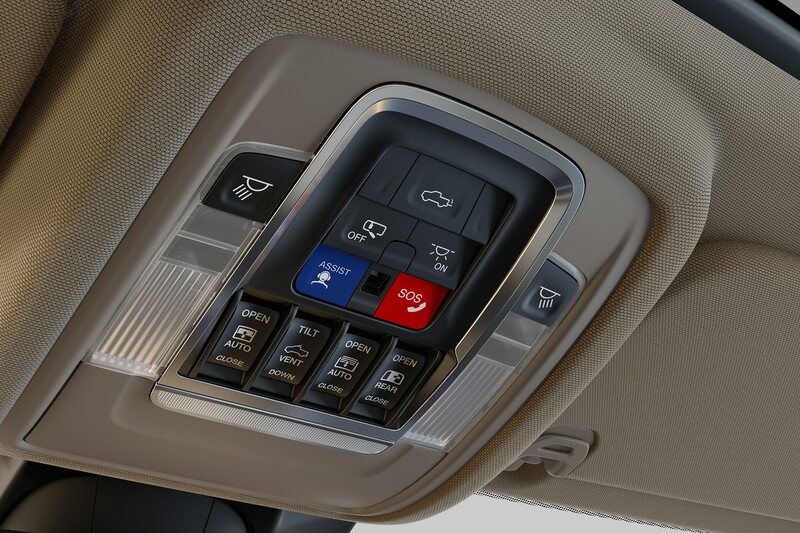 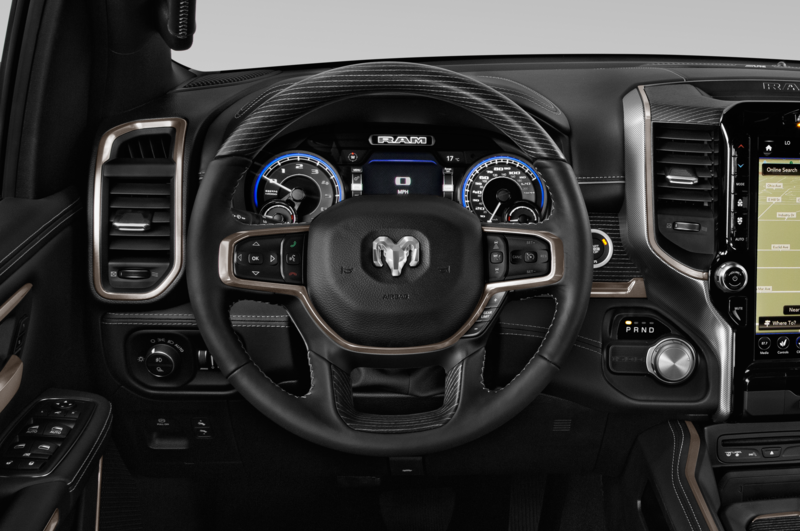 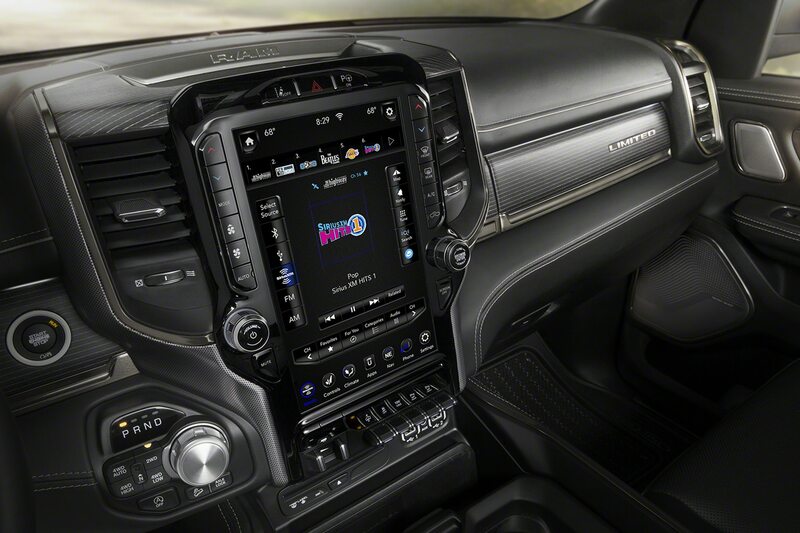 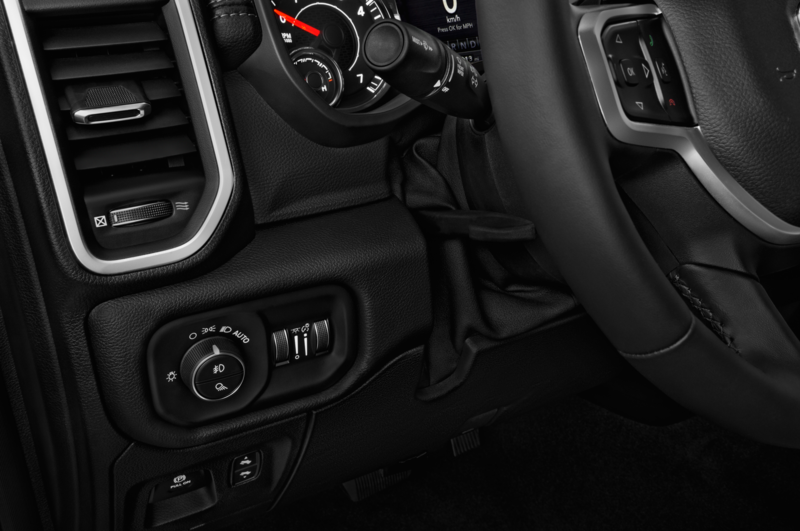 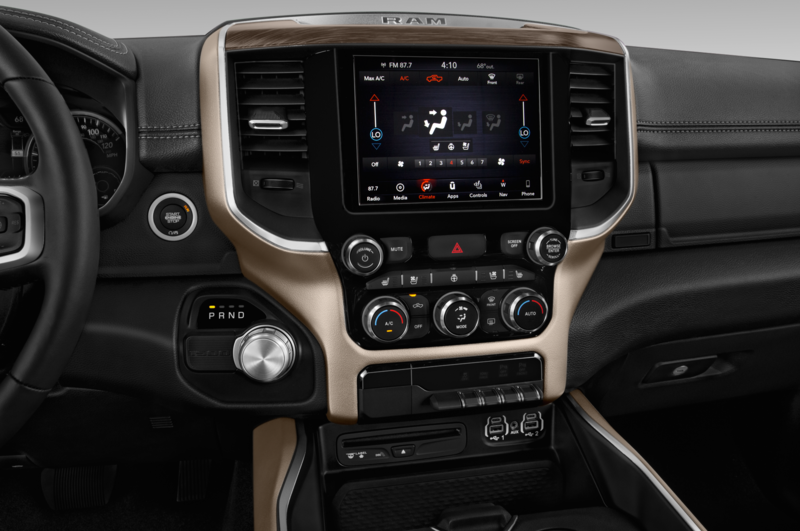 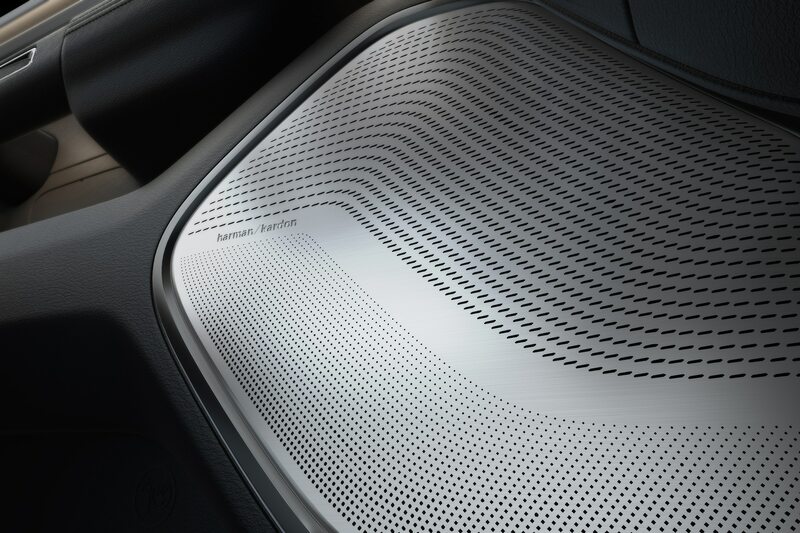 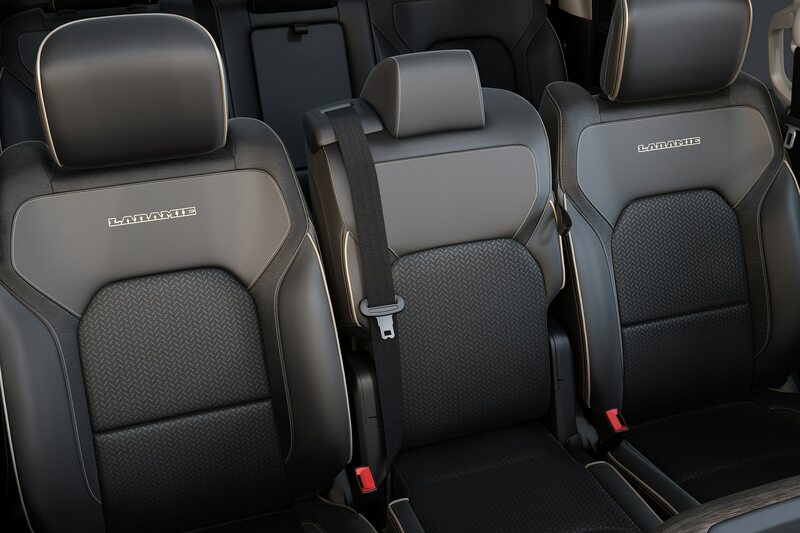 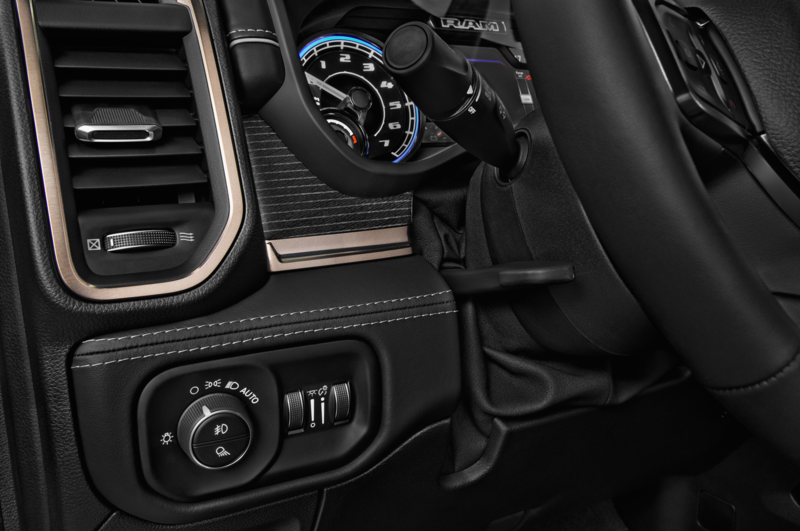 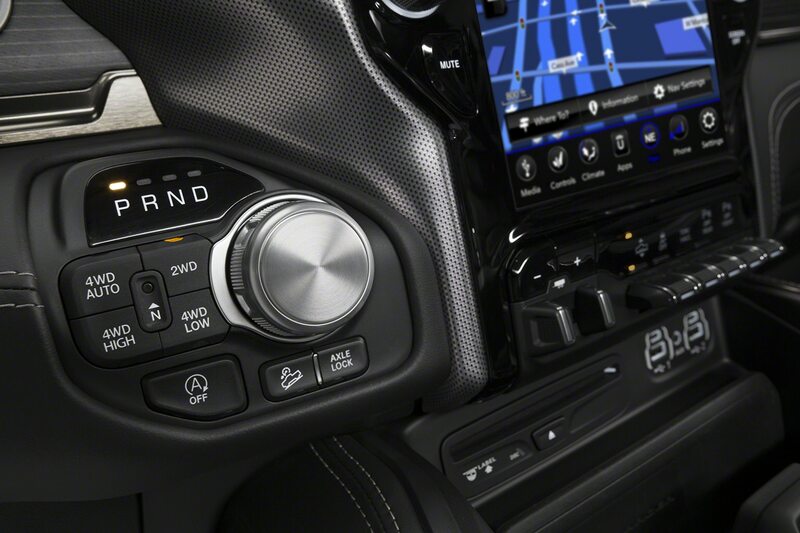 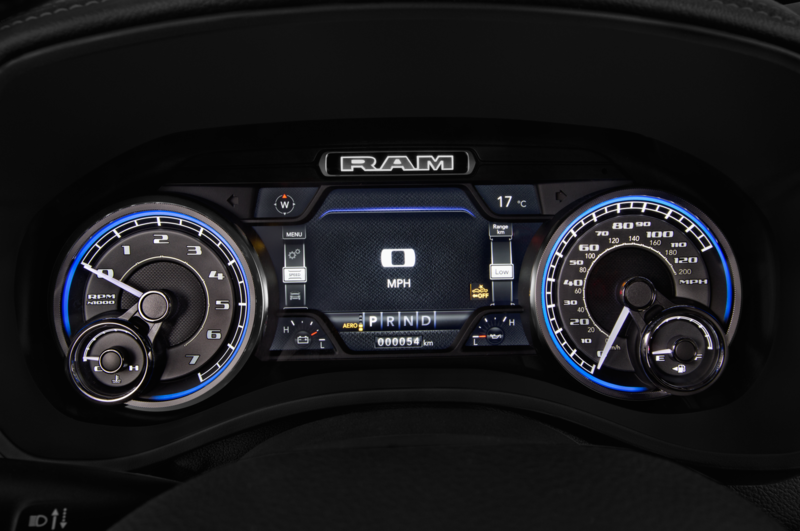 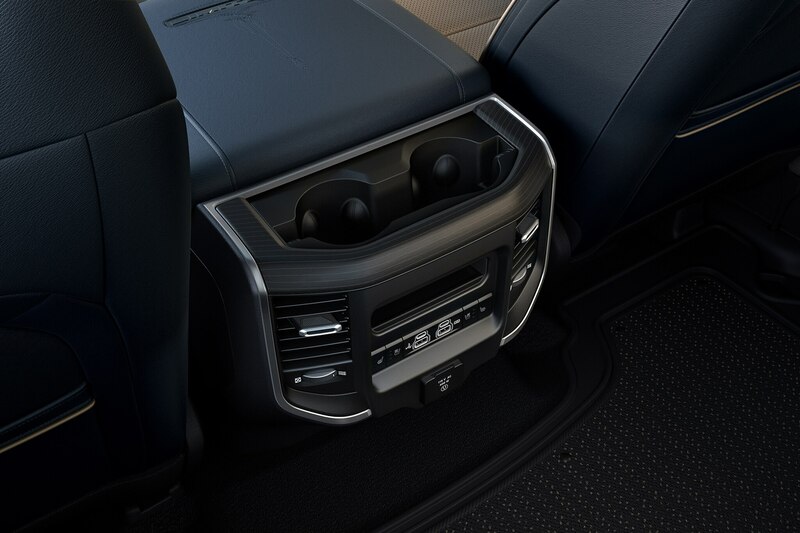 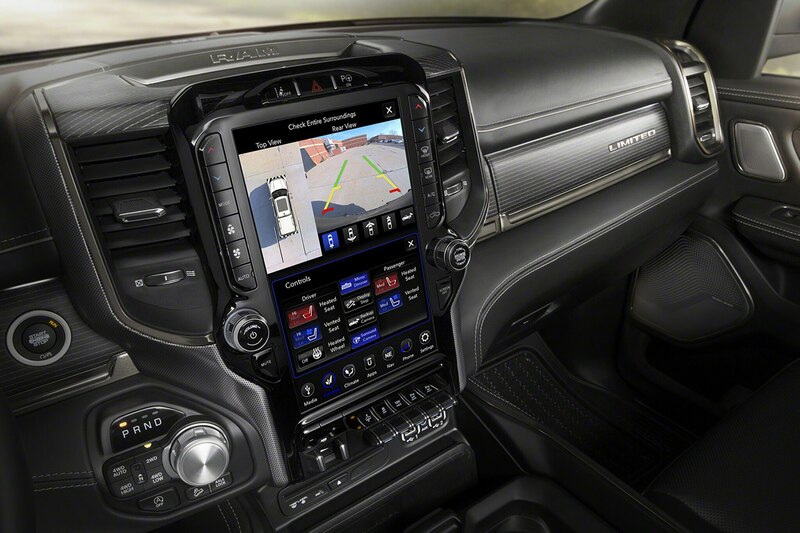 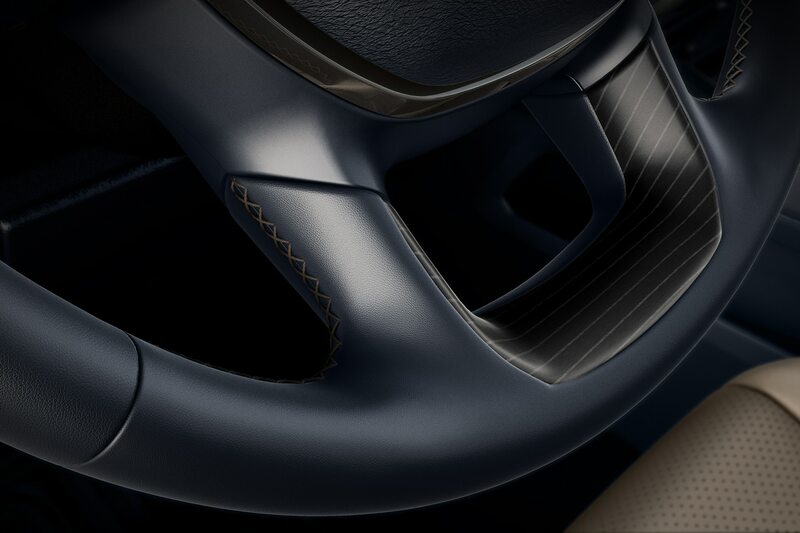 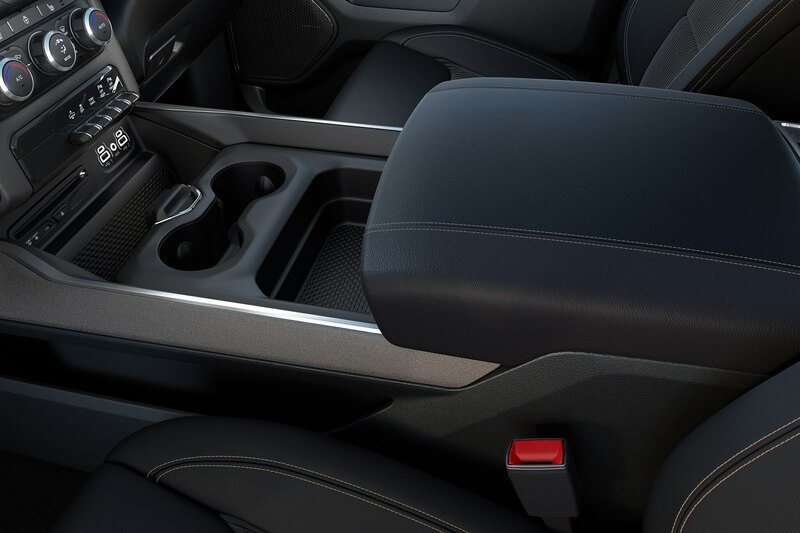 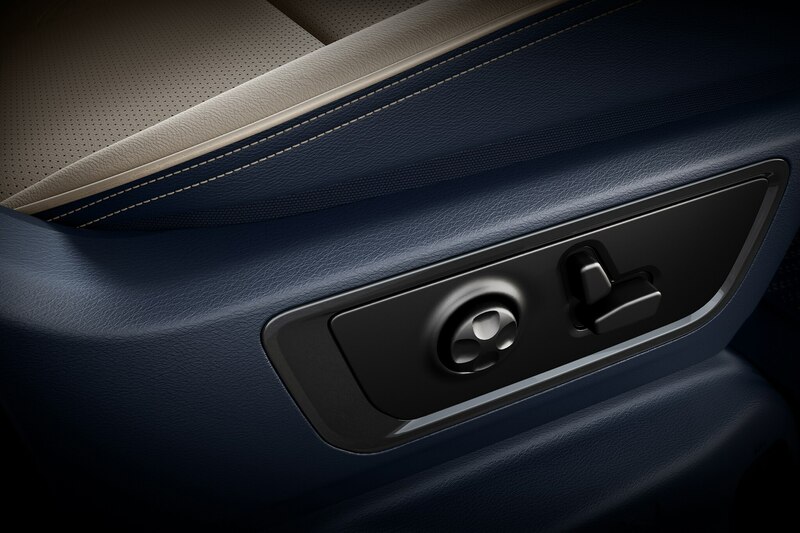 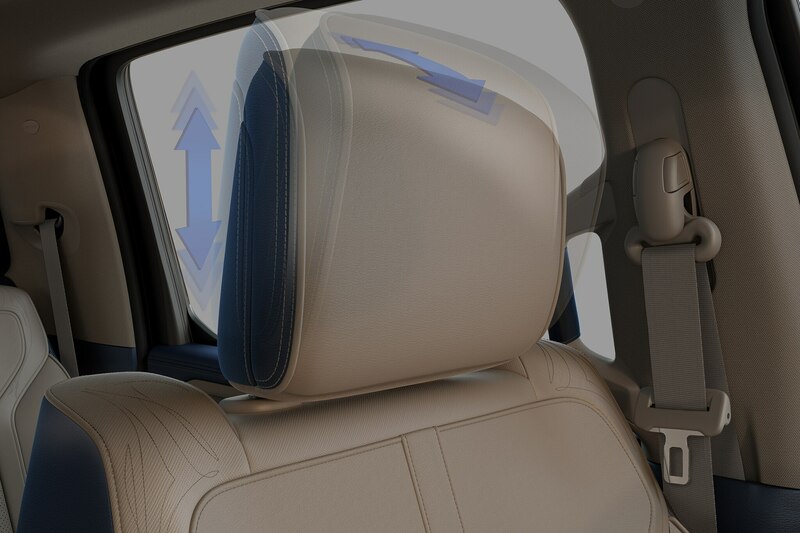 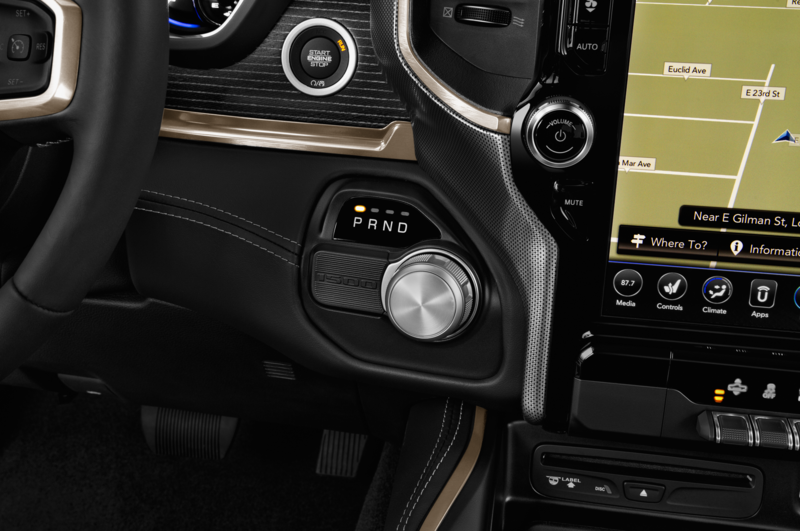 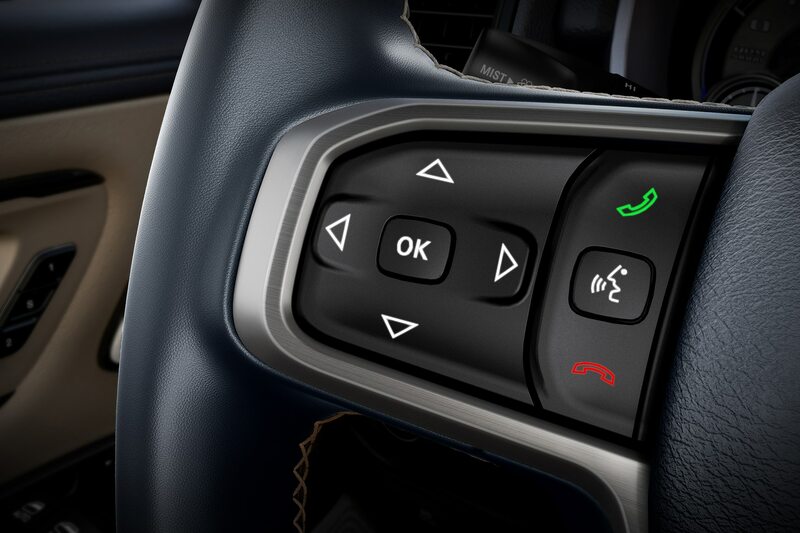 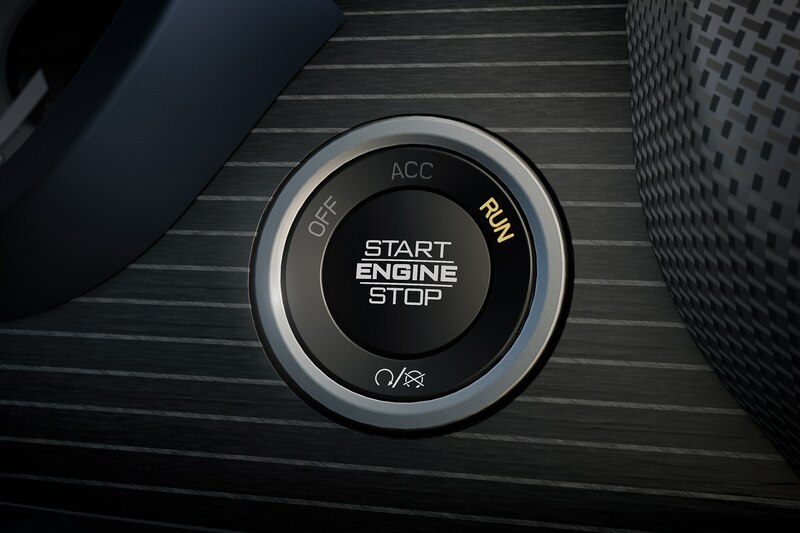 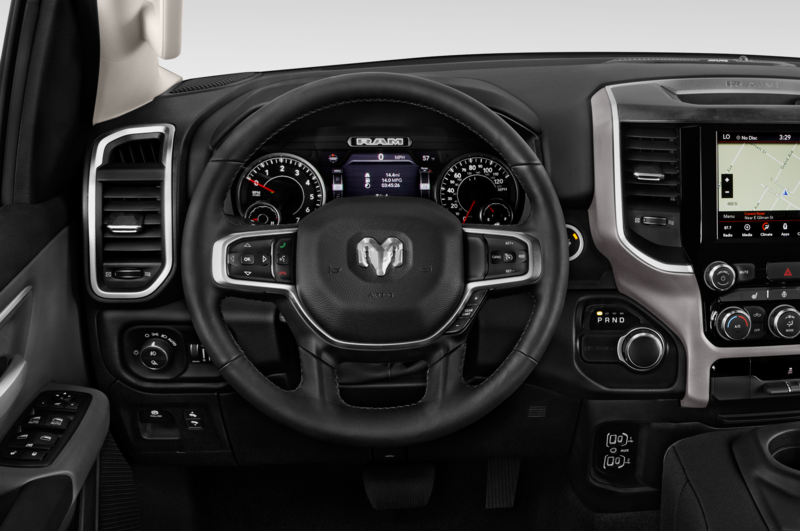 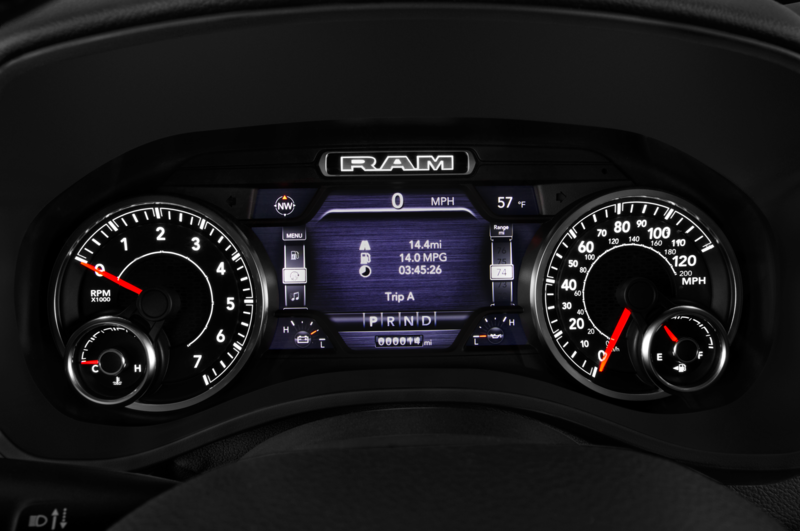 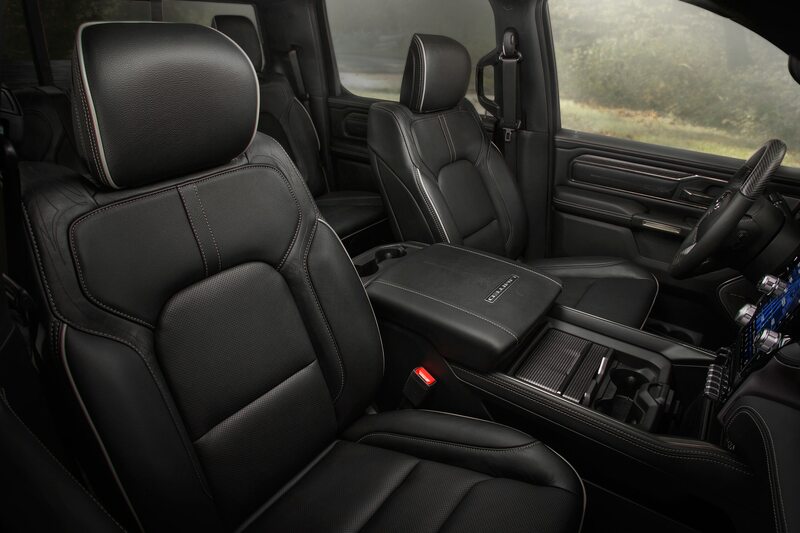 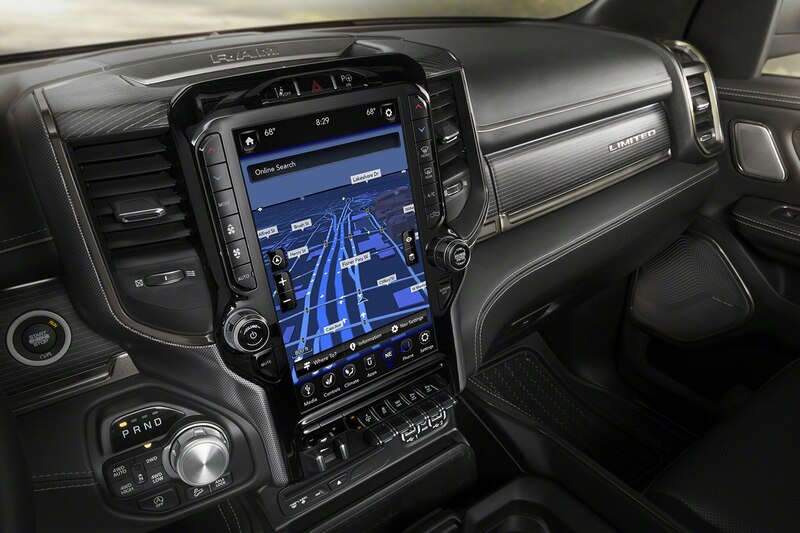 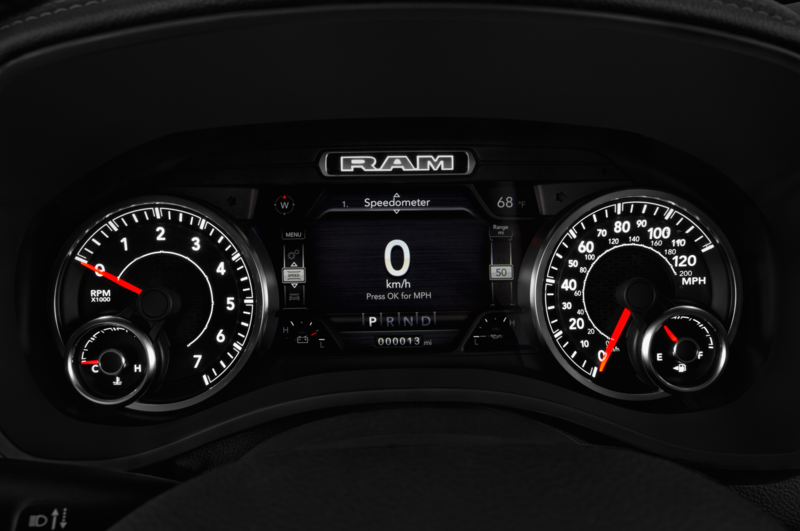 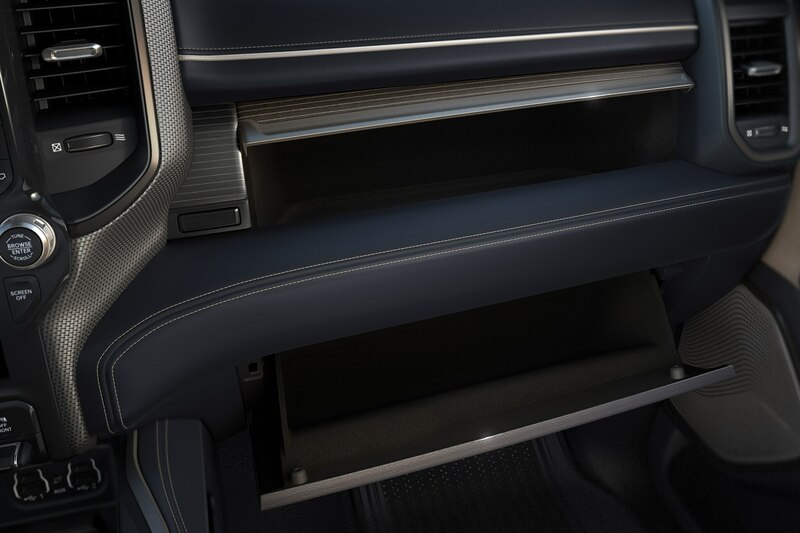 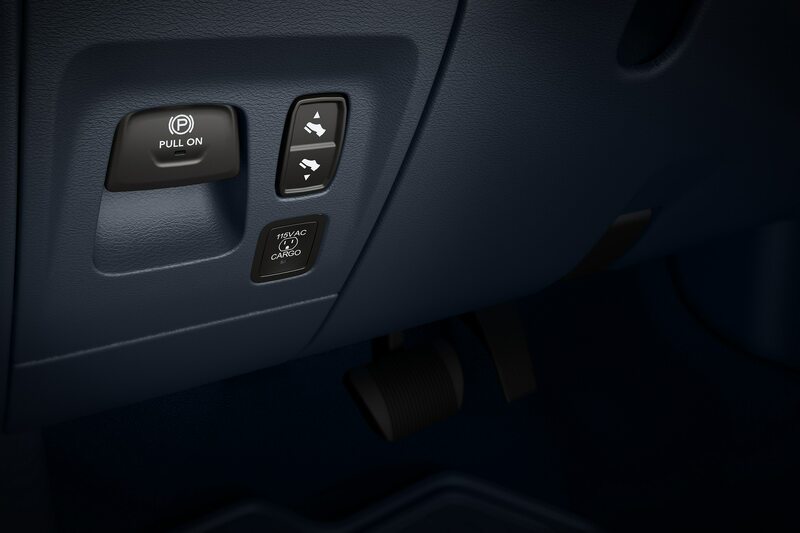 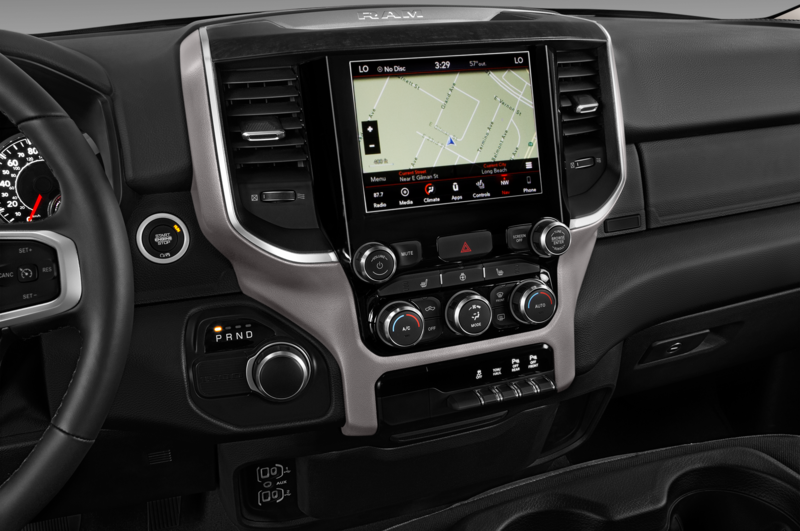 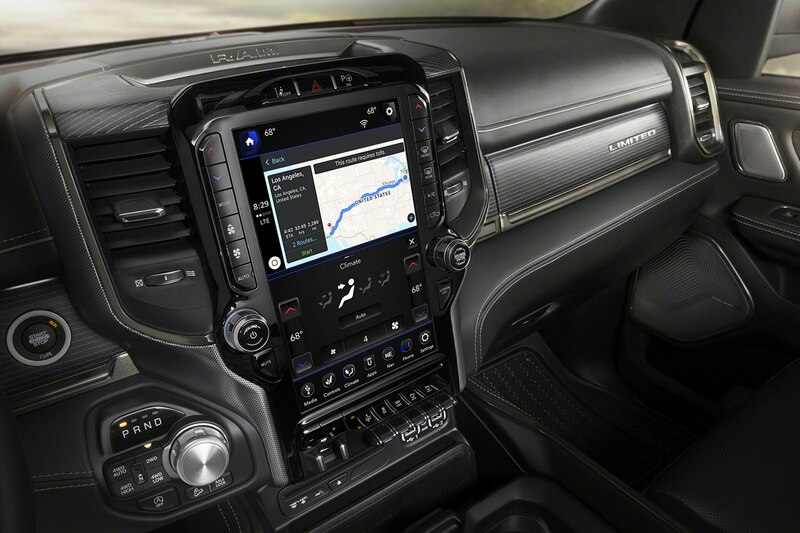 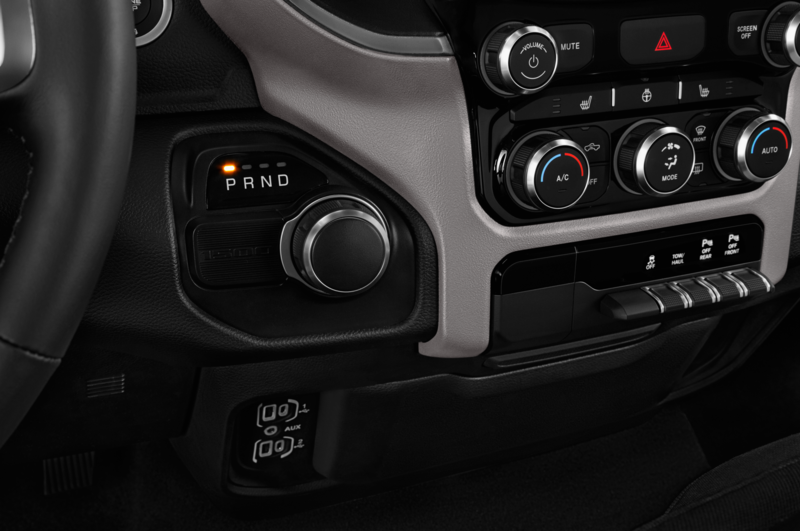 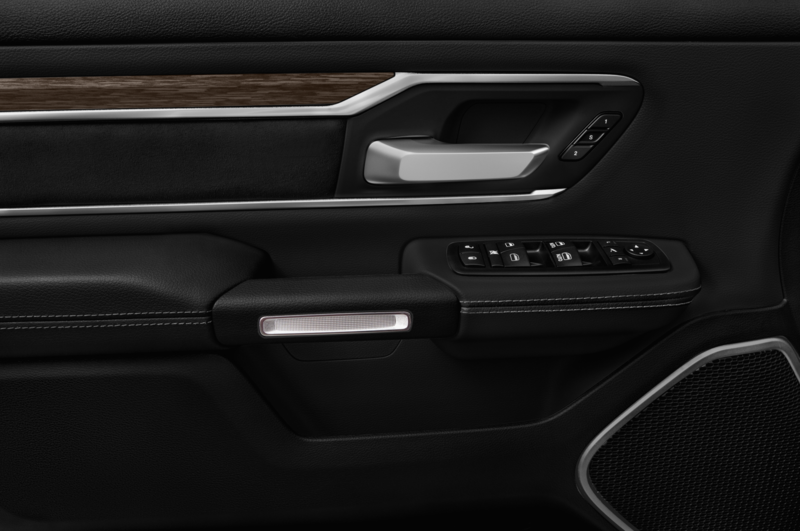 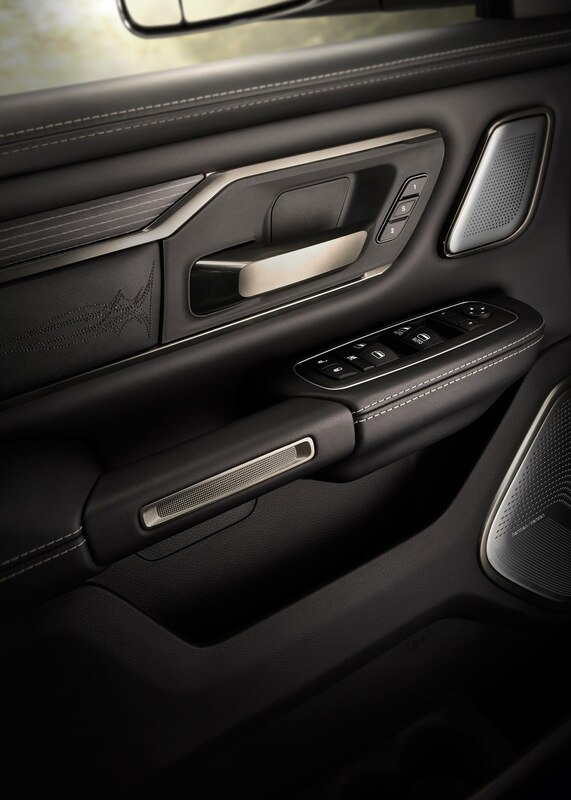 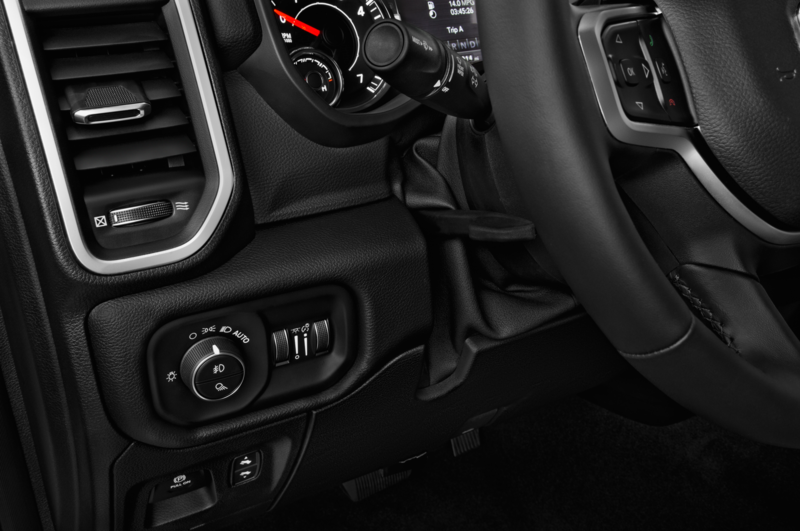 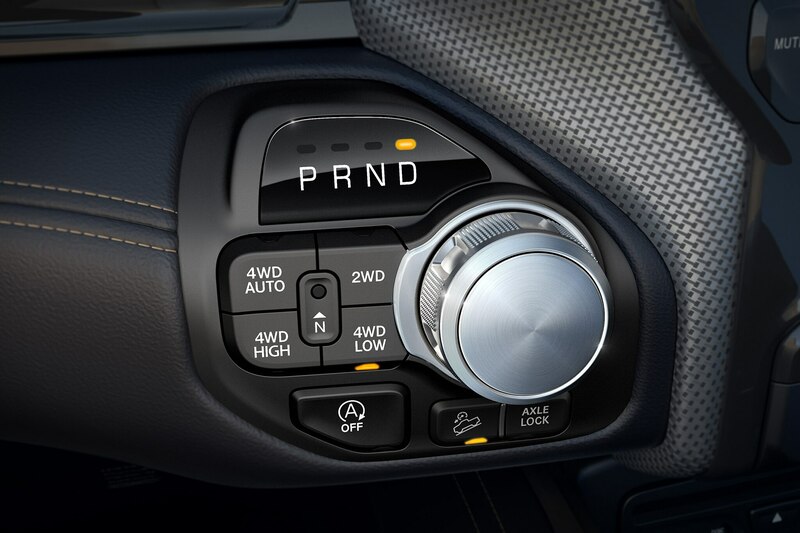 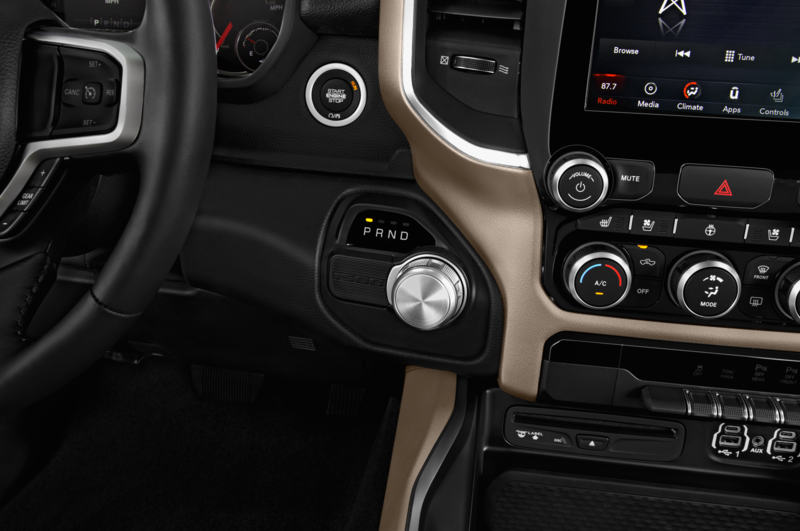 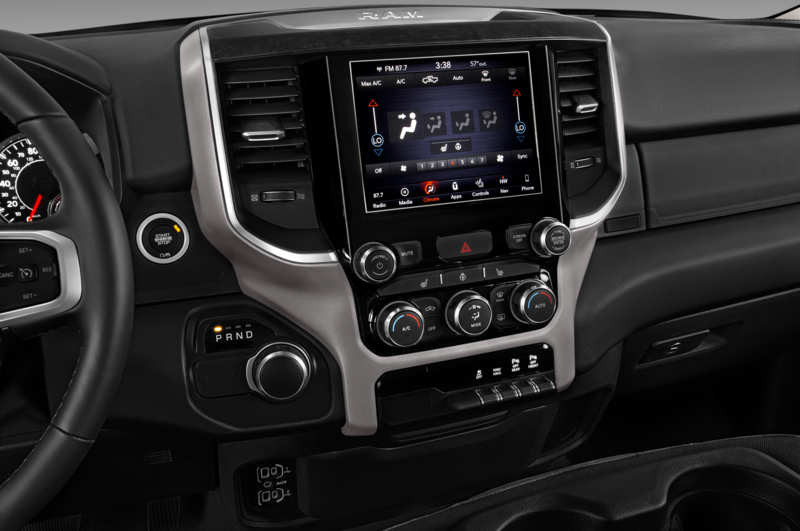 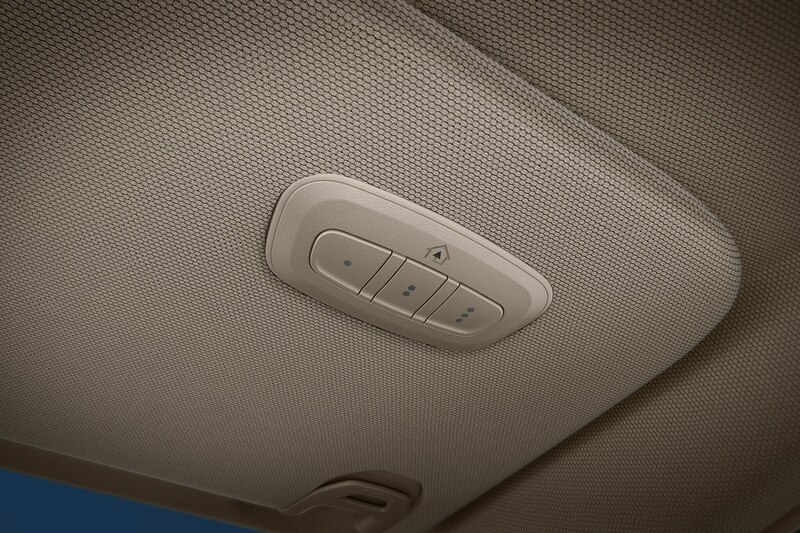 If your hands are full, Ram says a remote-opening function is also available. 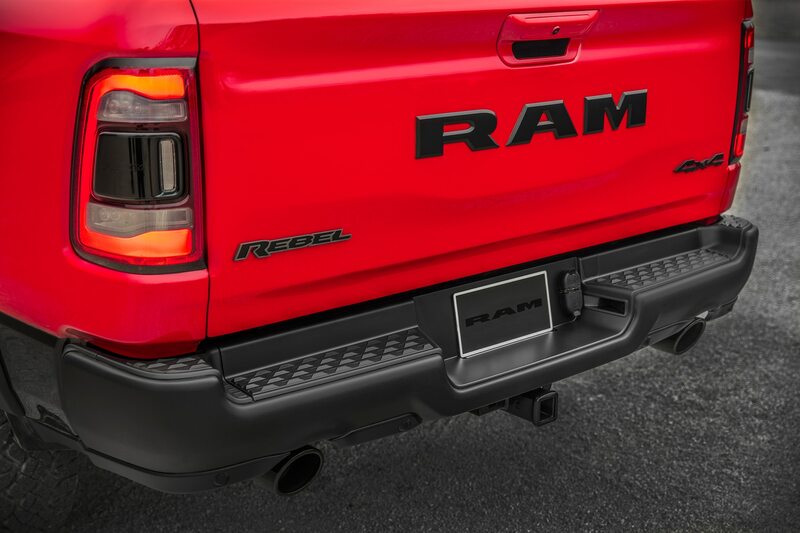 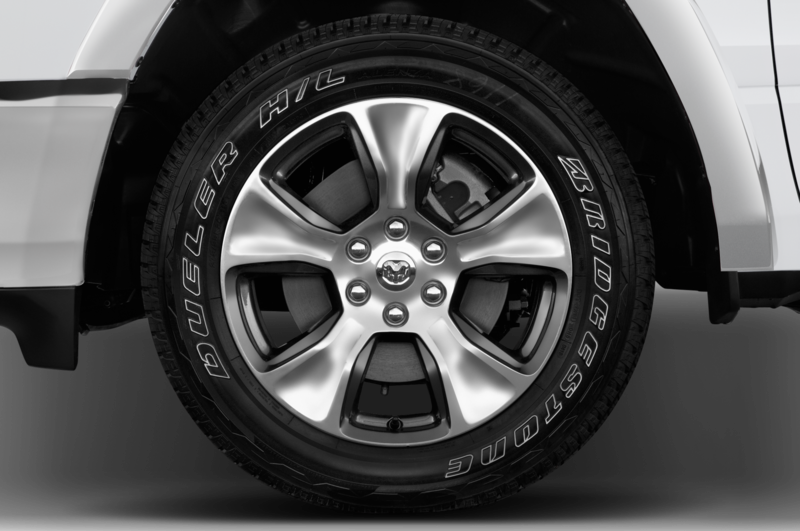 Unlike GMC’s solution, the Ram’s does not require that a trailer or hitch be removed before opening. 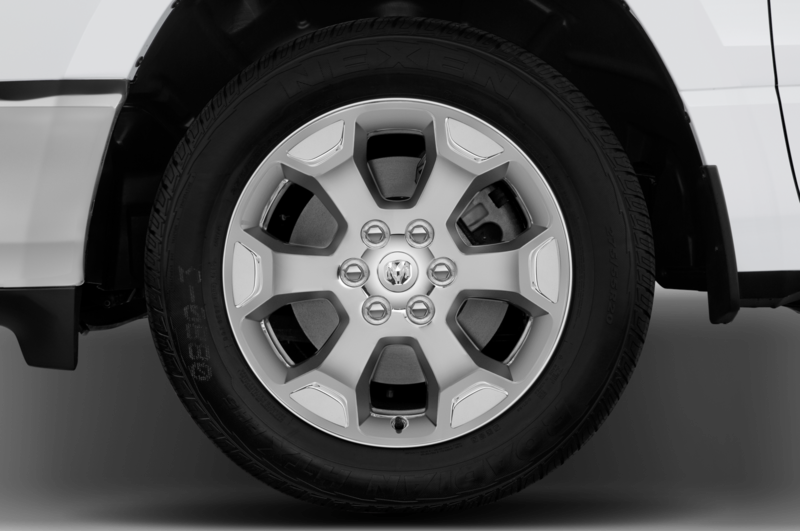 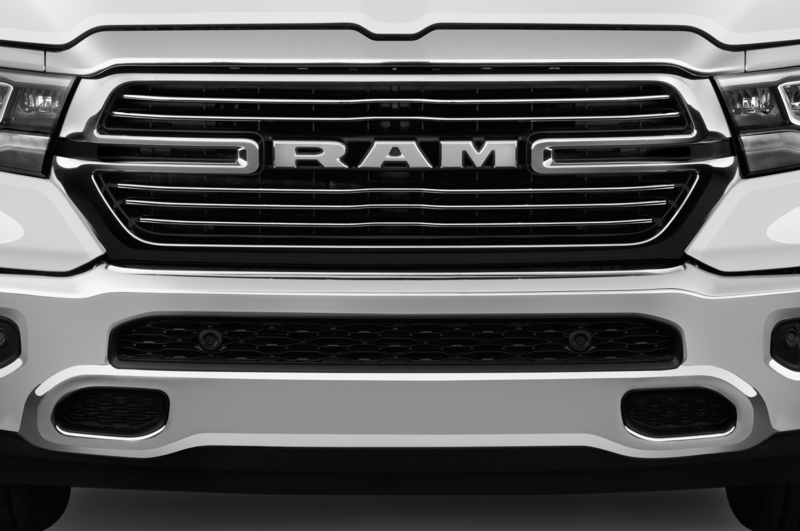 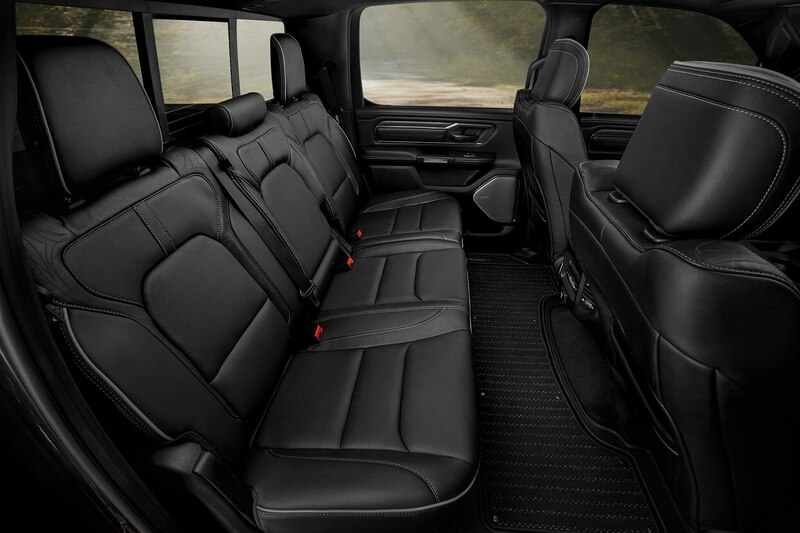 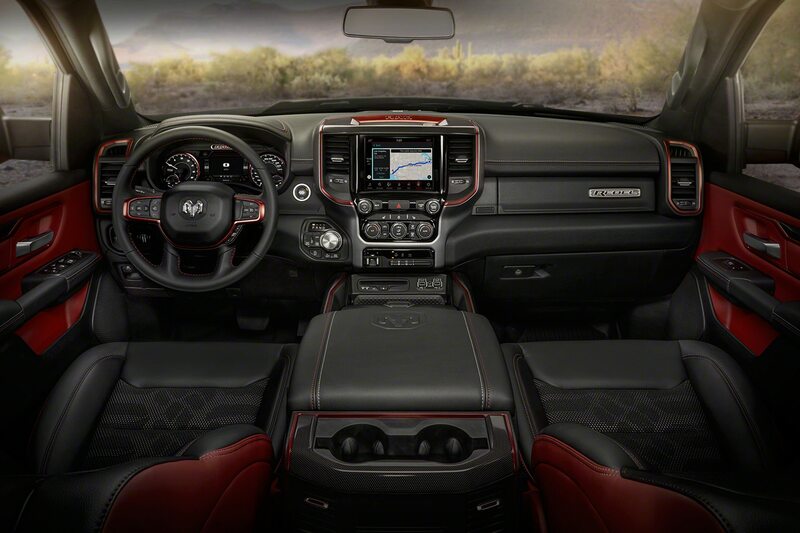 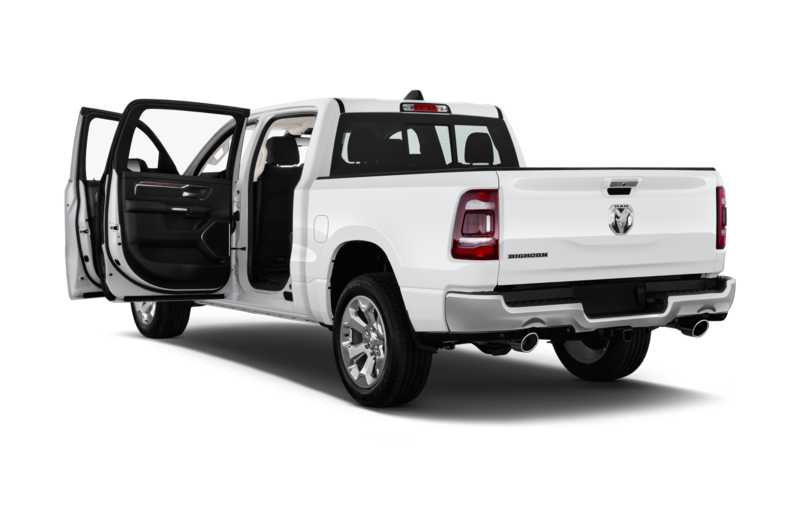 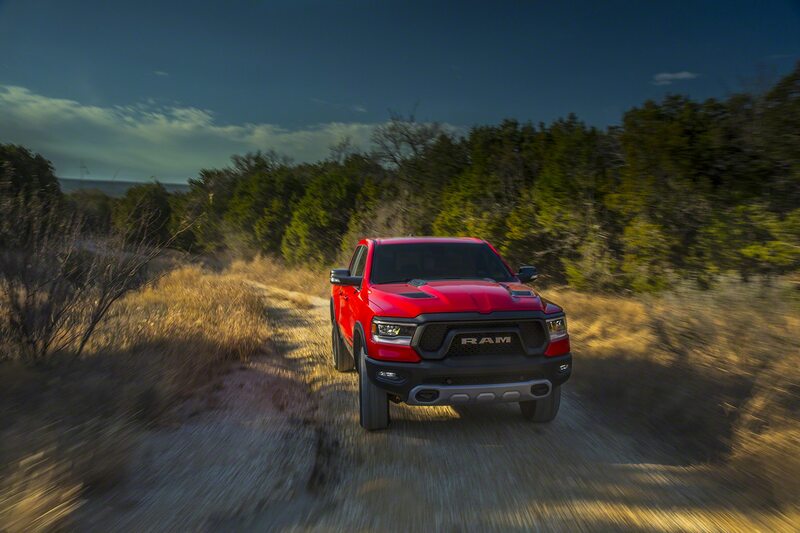 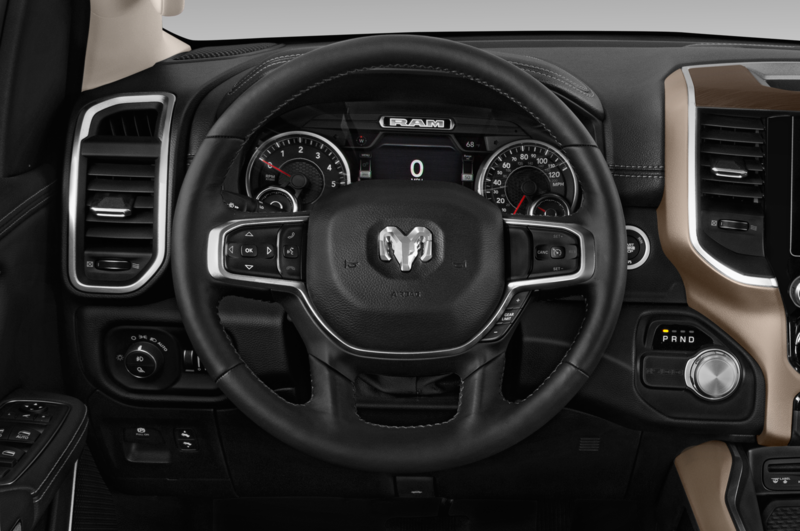 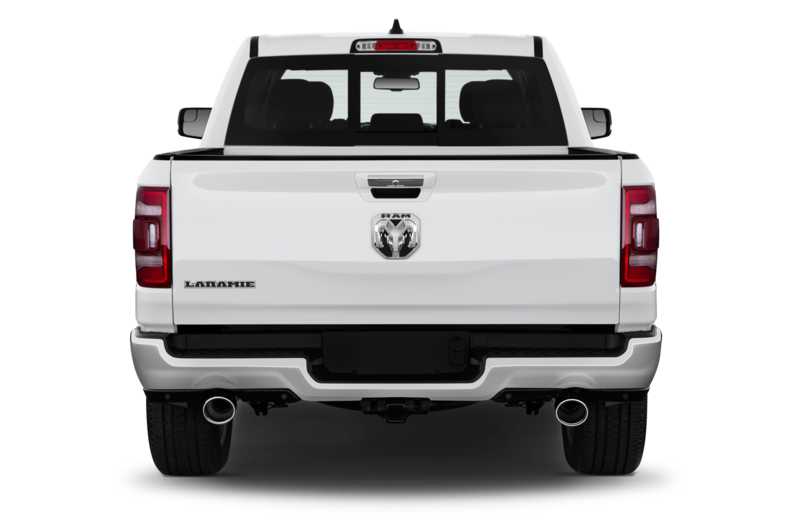 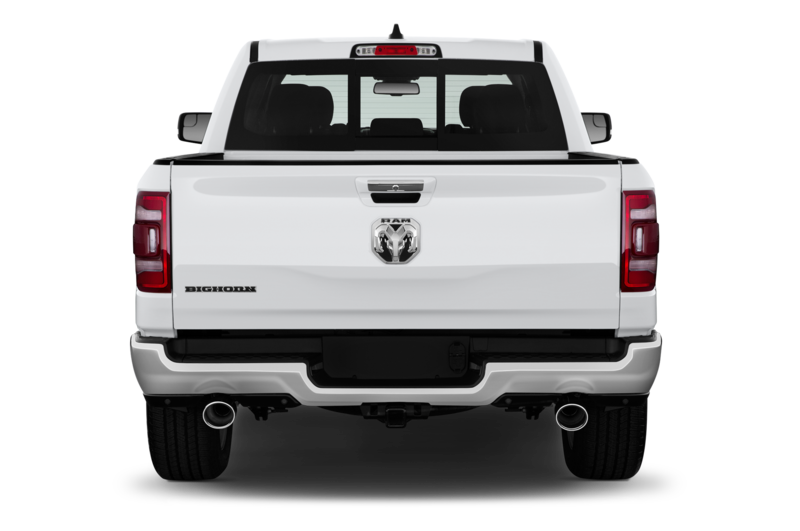 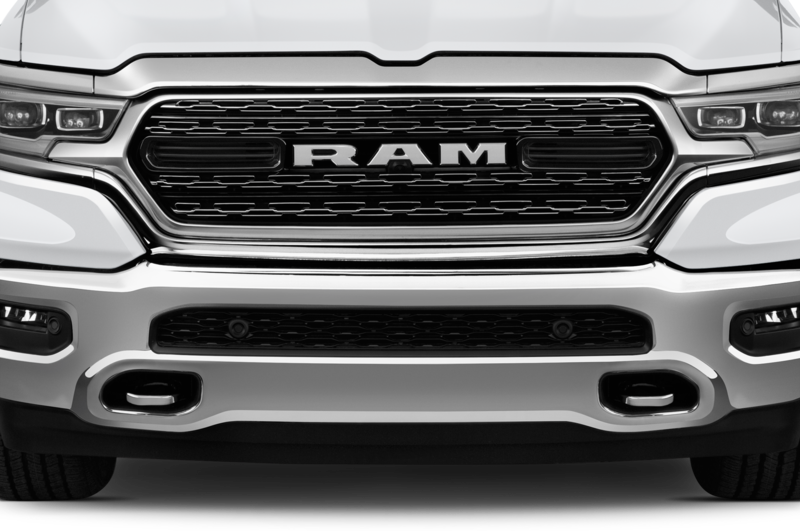 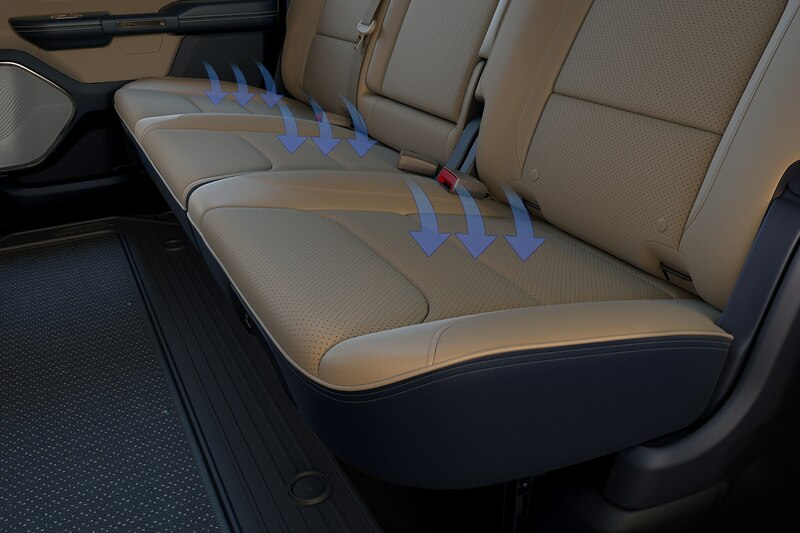 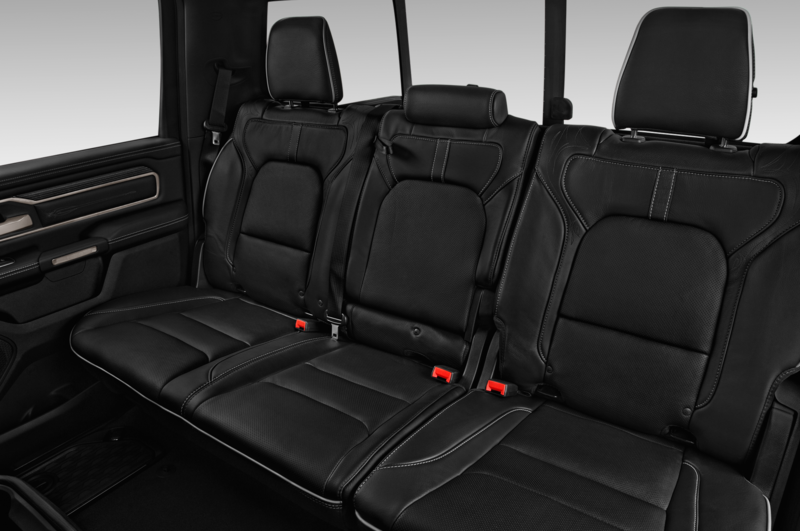 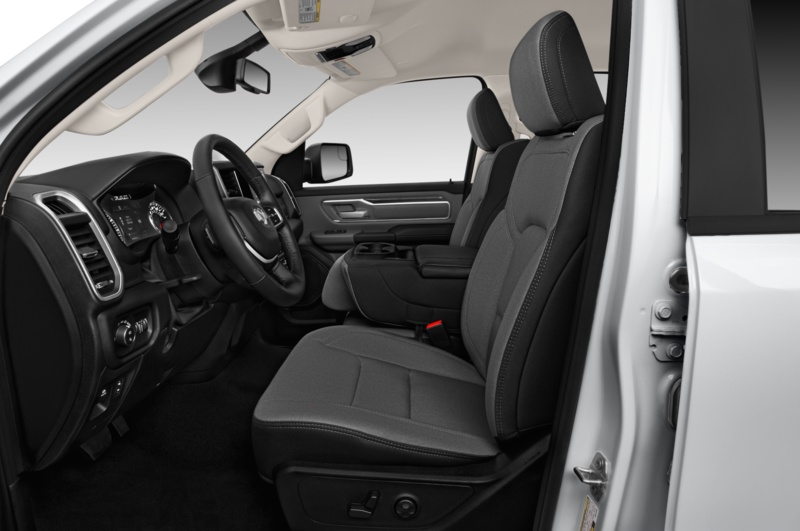 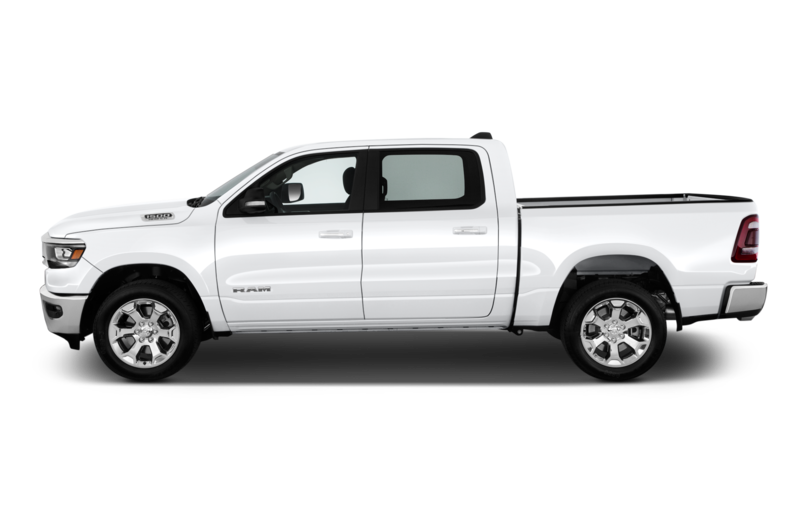 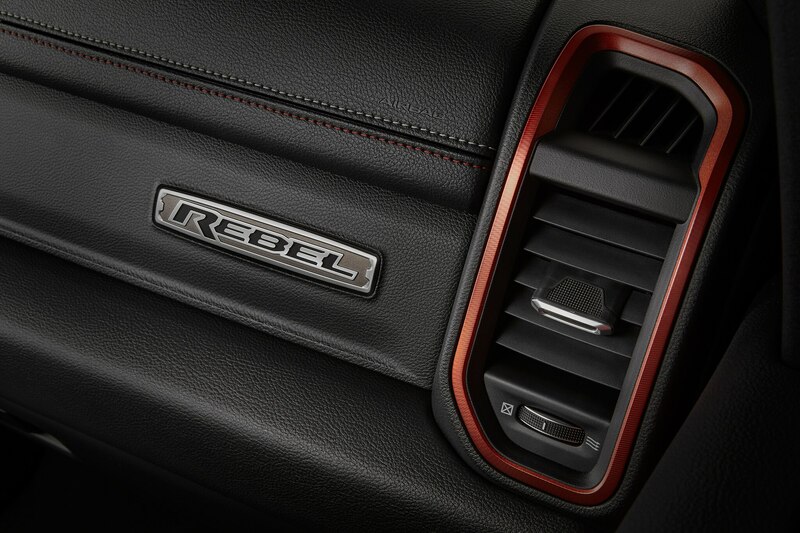 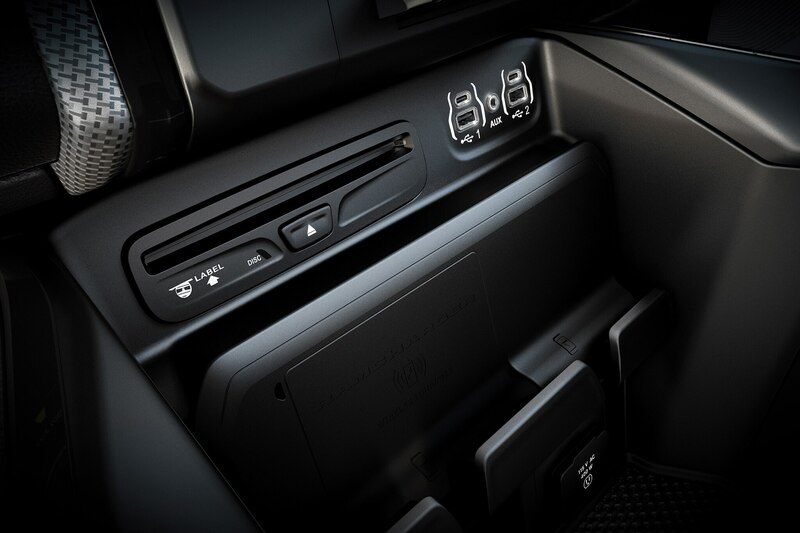 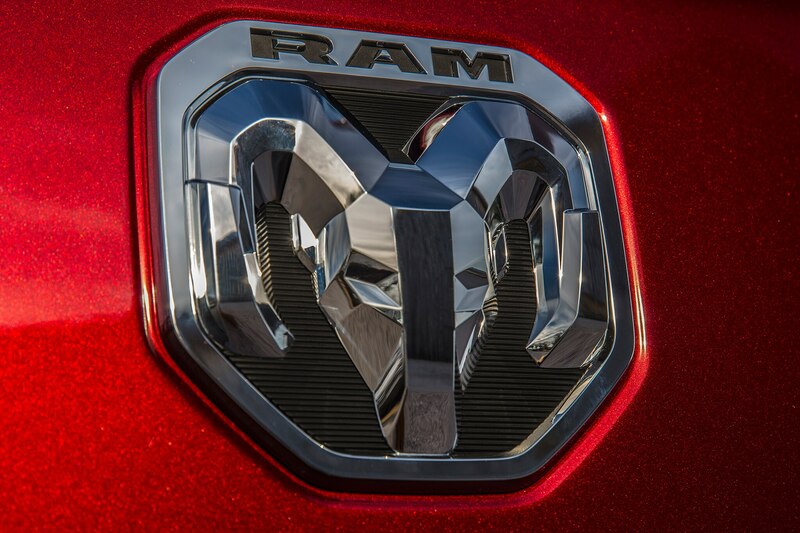 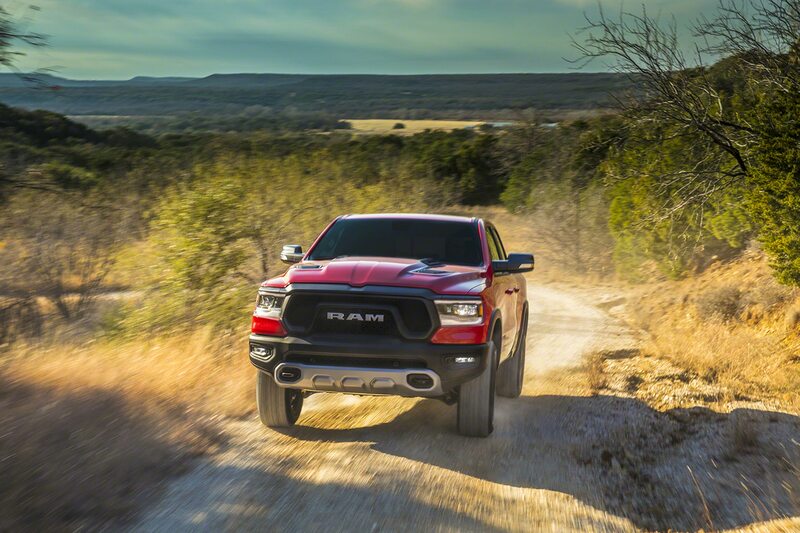 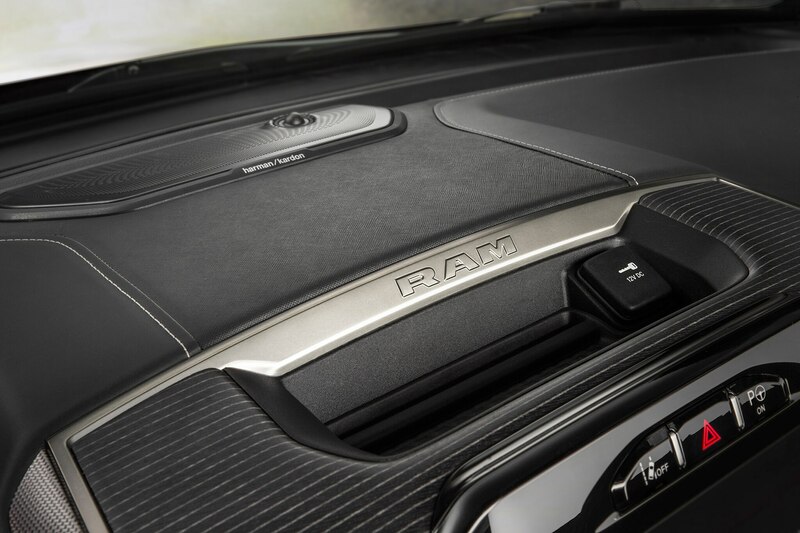 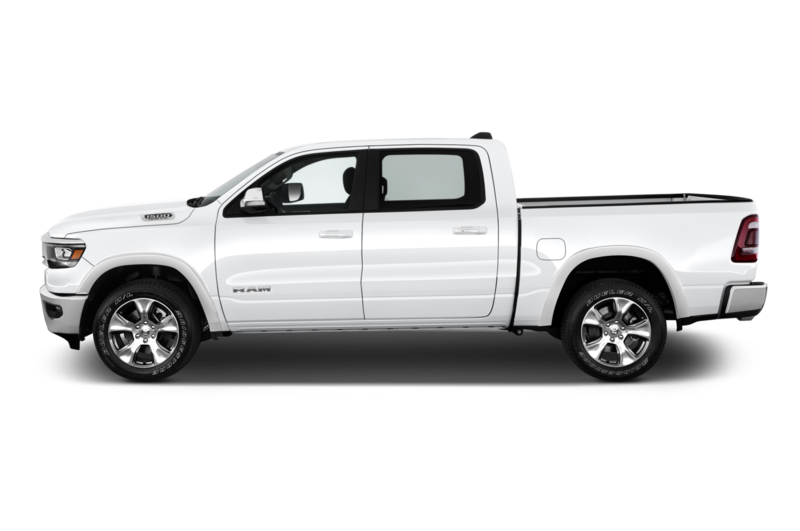 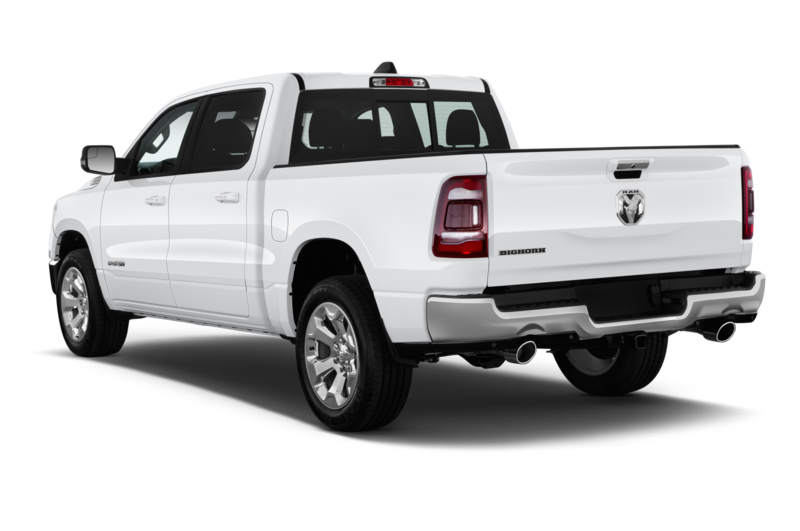 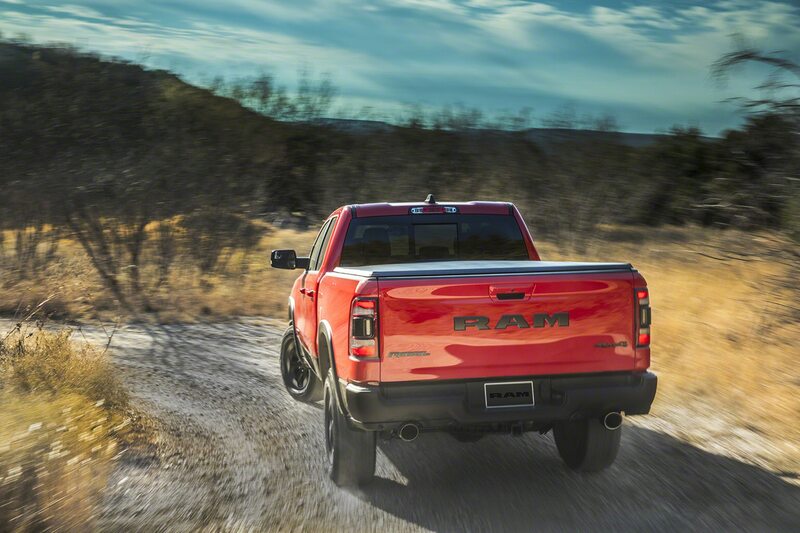 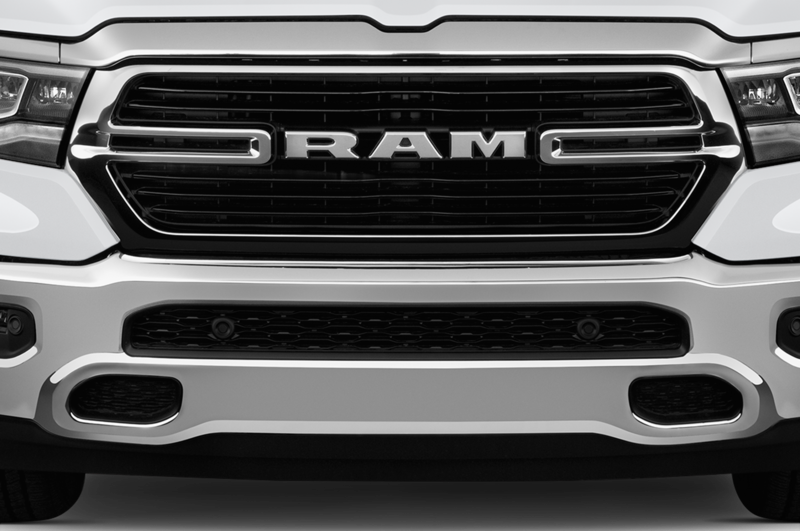 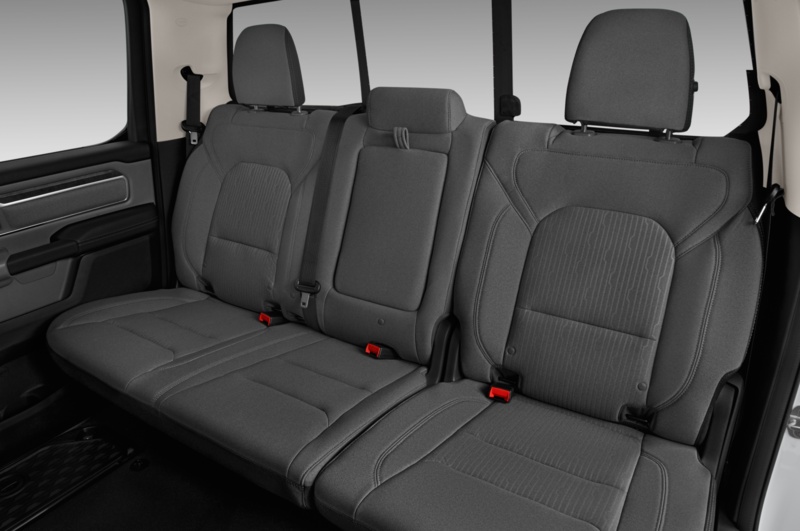 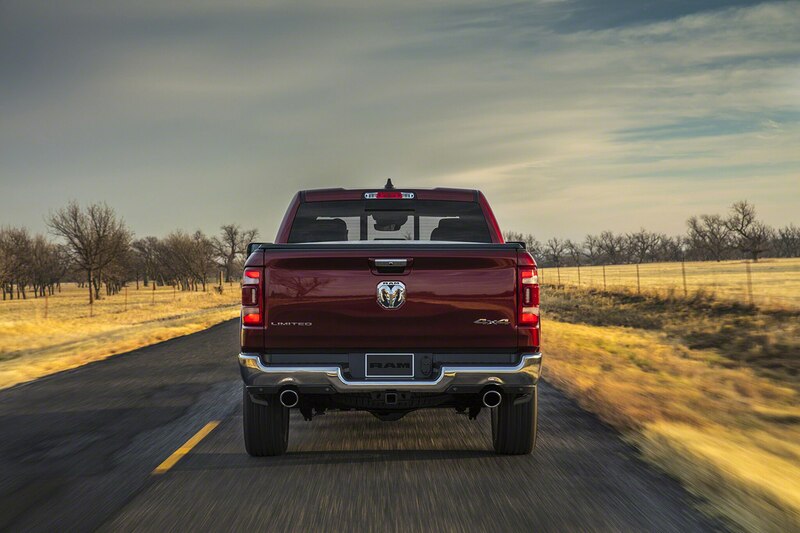 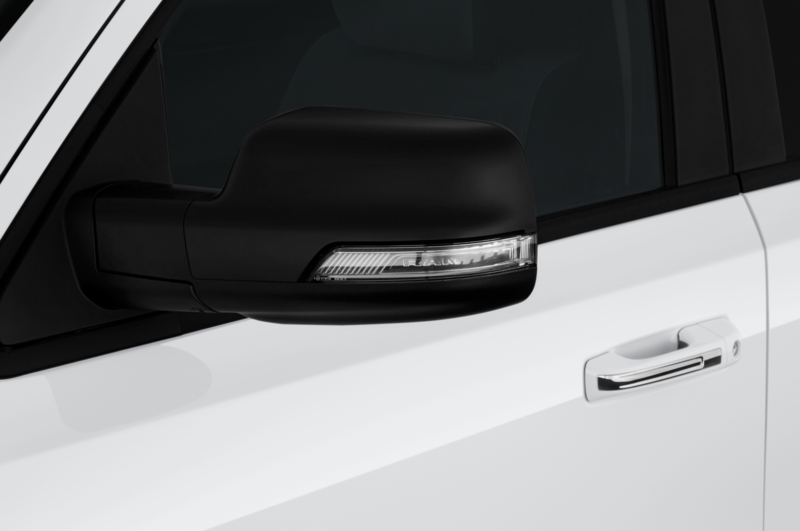 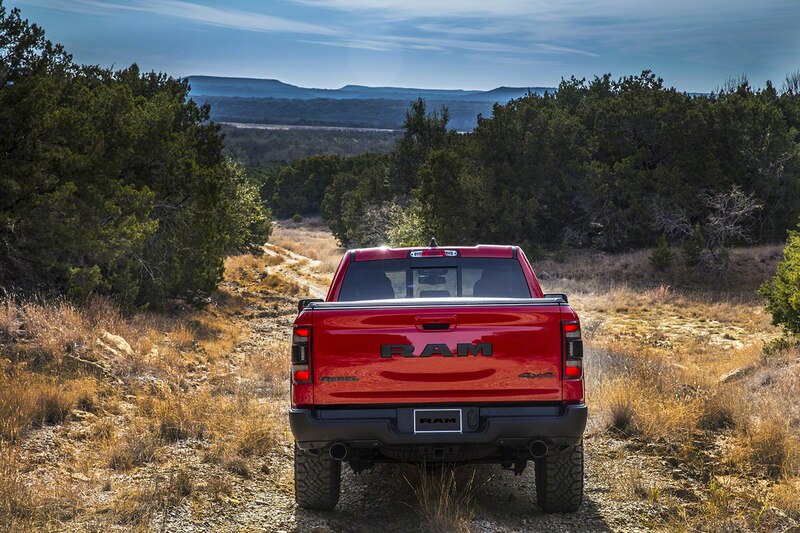 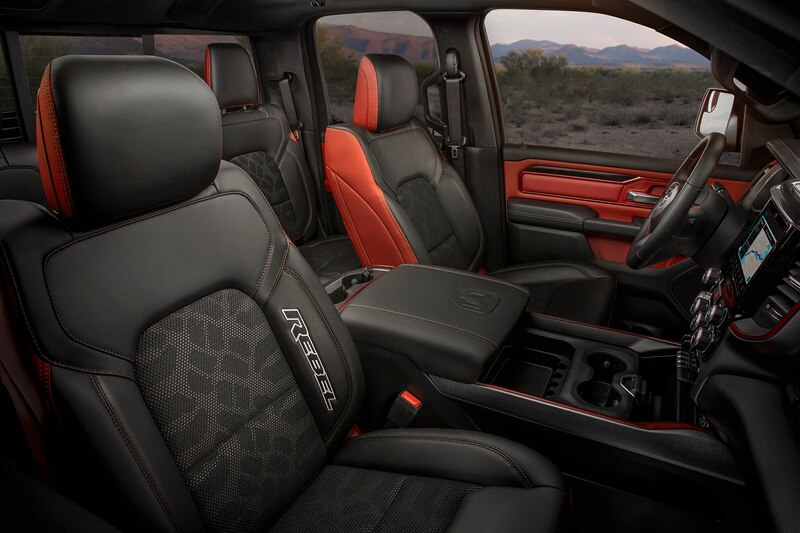 In total, the Ram tailgate has four configurations: flat open, left door open, right door open, and both doors open. 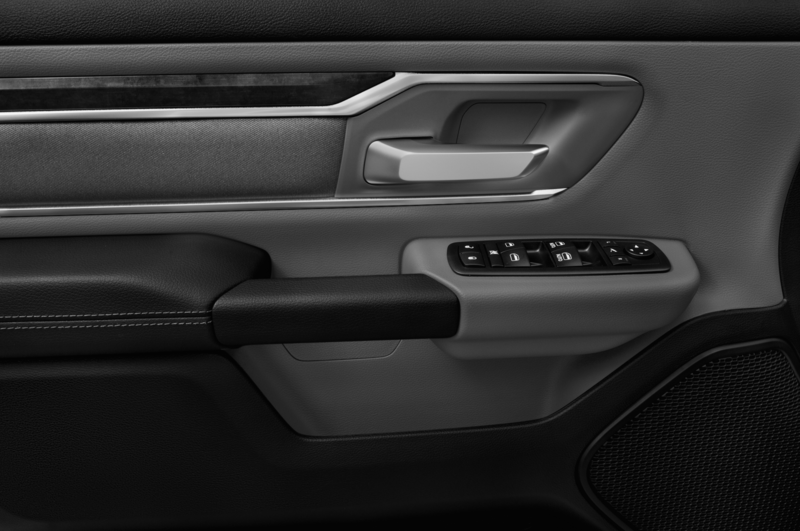 The doors can each swing out a maximum of 88 degrees. We’ll admit it does look handy, although it would be even more so if each section folded down as they did in Ram’s old patent filing. 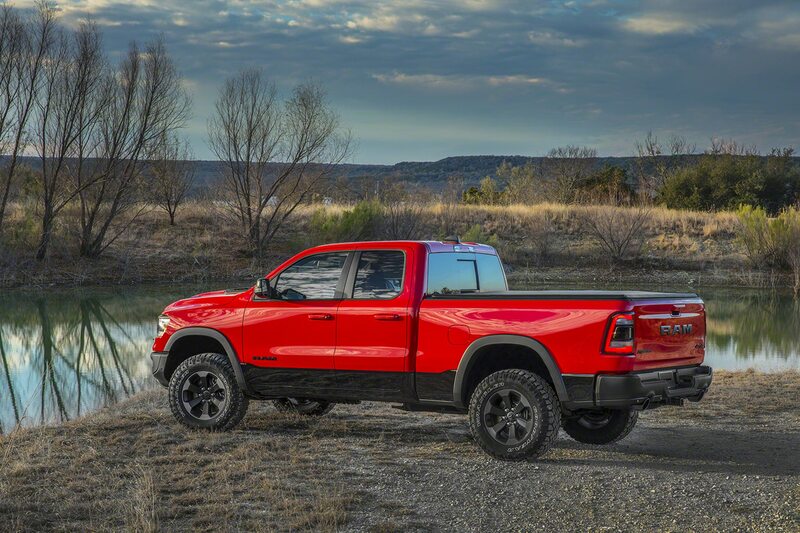 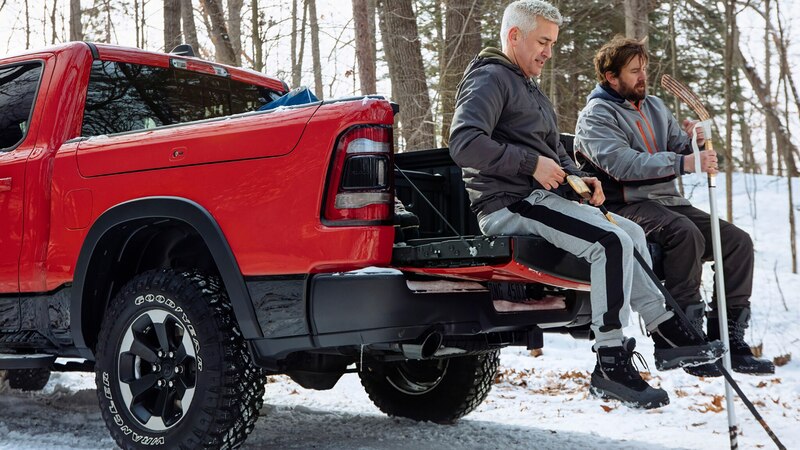 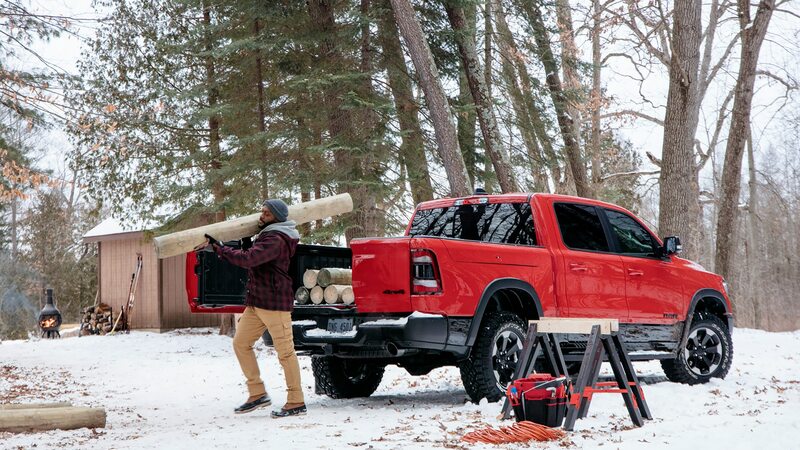 With the Honda Ridgeline’s drop-or-swing tailgate also in the mix, it seems we have a new truck-related feature fight to follow.